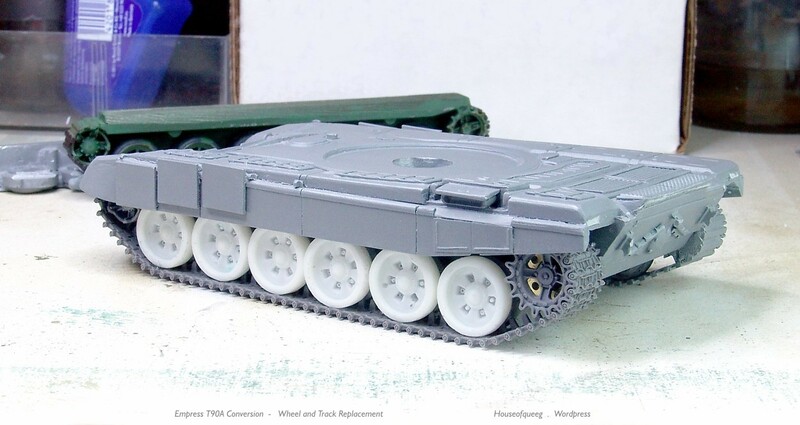 Just a small update showing off the new 3D printed air-con units (courtesy of Jason) and a little more detailing (various lift handles and the re-positioned rear M2 variant periscopes). 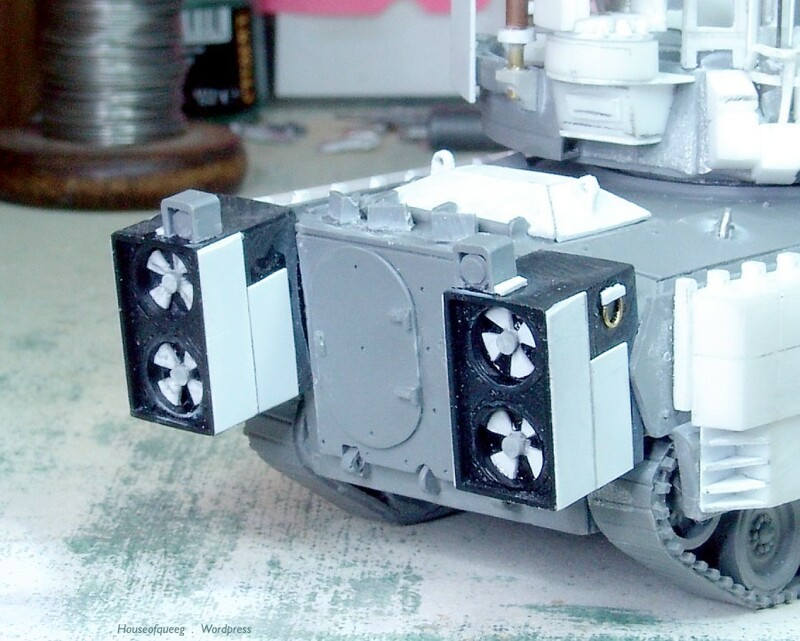 Only really the fans to install plus a couple of lift points I missed then it’s ready for paint. 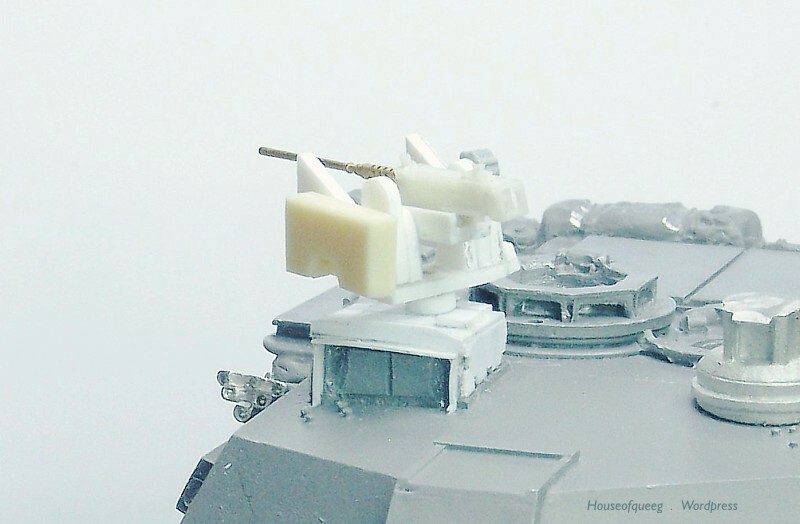 And managed to delete a the post before this while posting the above above update …. 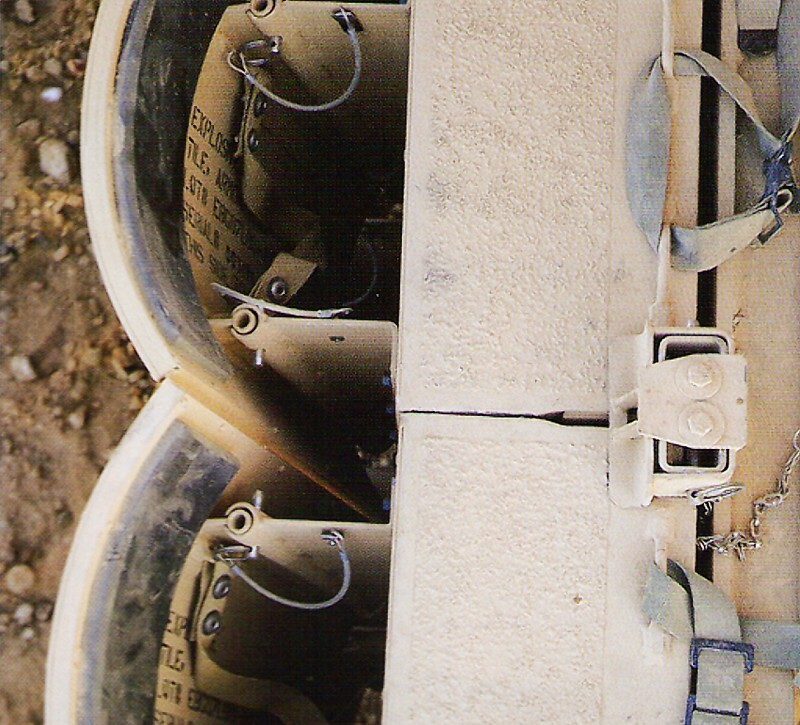 because of “reasons” … ie incompetence. 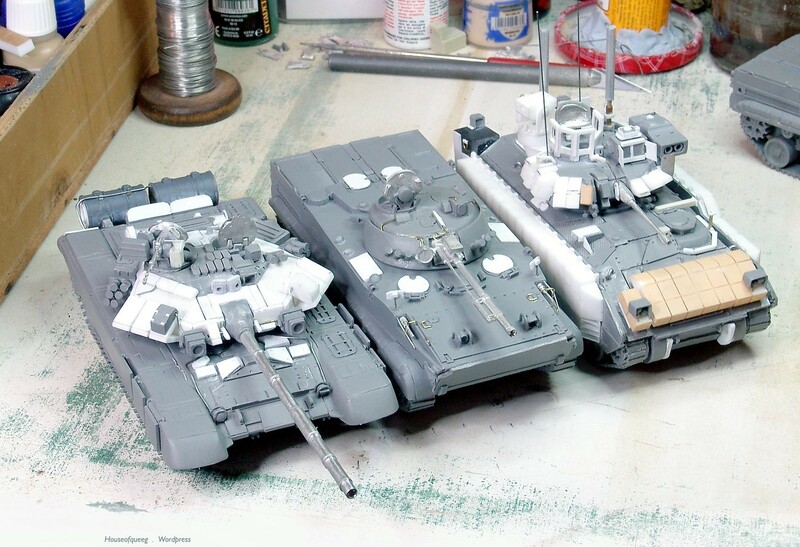 So here’s most of it reposted, hopefully. 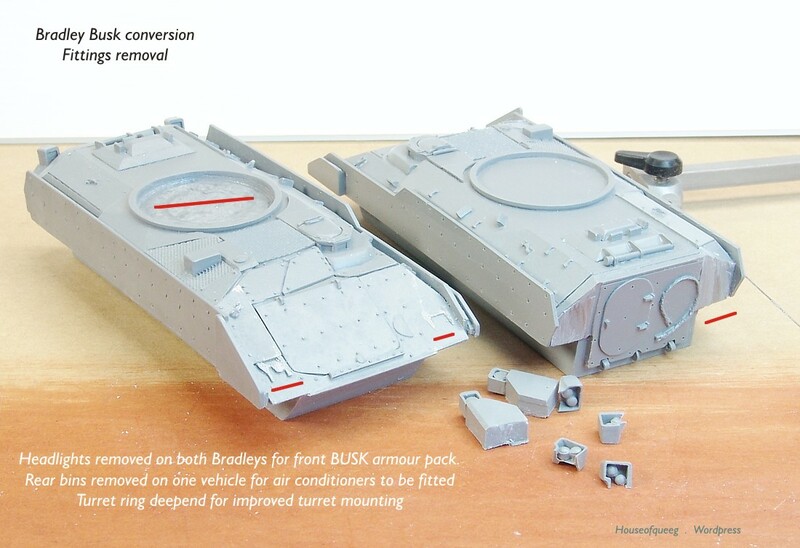 Bradley M2A3 BuskIII wargaming conversion using the Empress (ex Imprint) Bradley M3A2 ODS as a base. 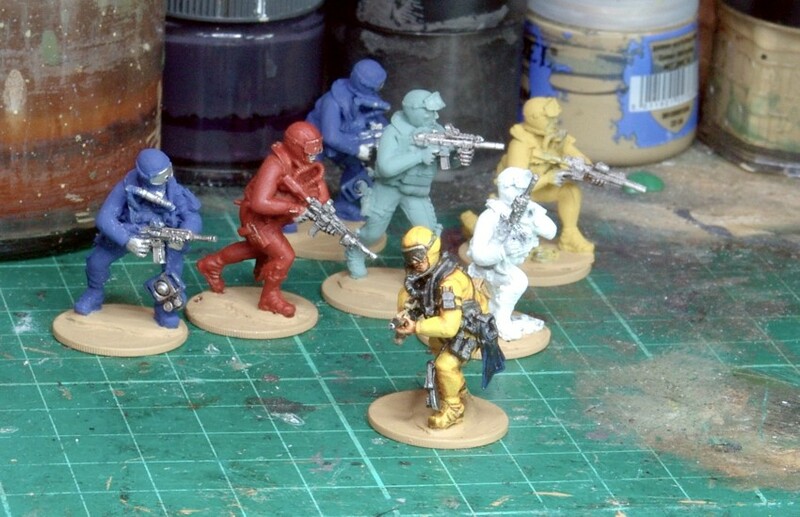 Settled on using Laser cut acrylic for the ERA blocks (6mm) so as to get them more repeatable and consistent and pretty pleased with how the worked out to be honest. 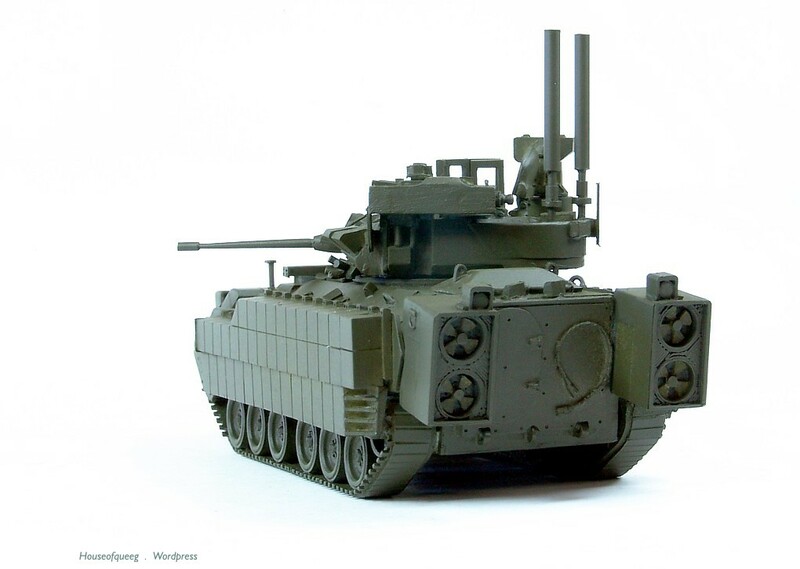 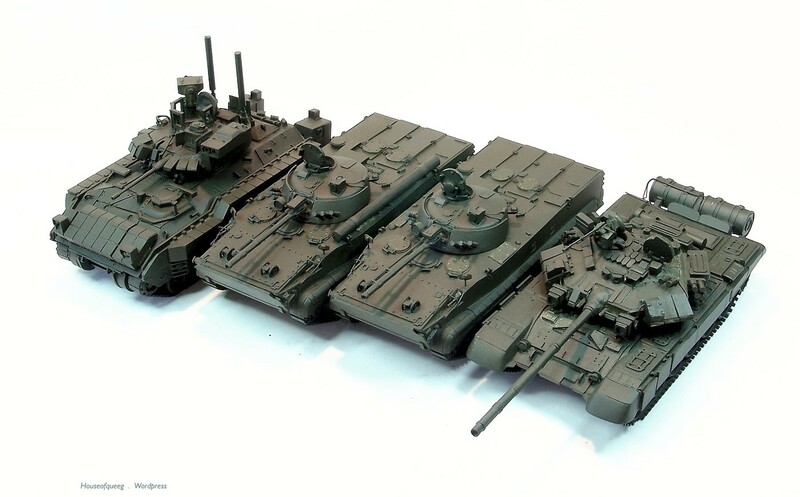 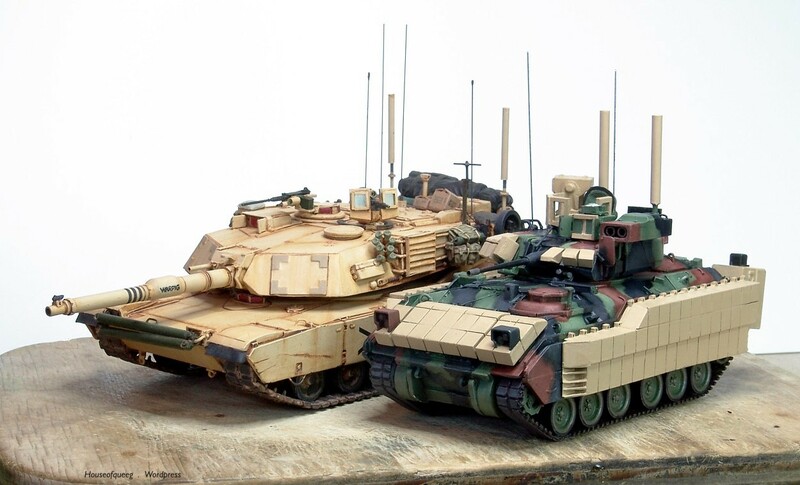 And some useful Bradley ref pics of various M2 and M3 A2s and 3s with BUSK kits. 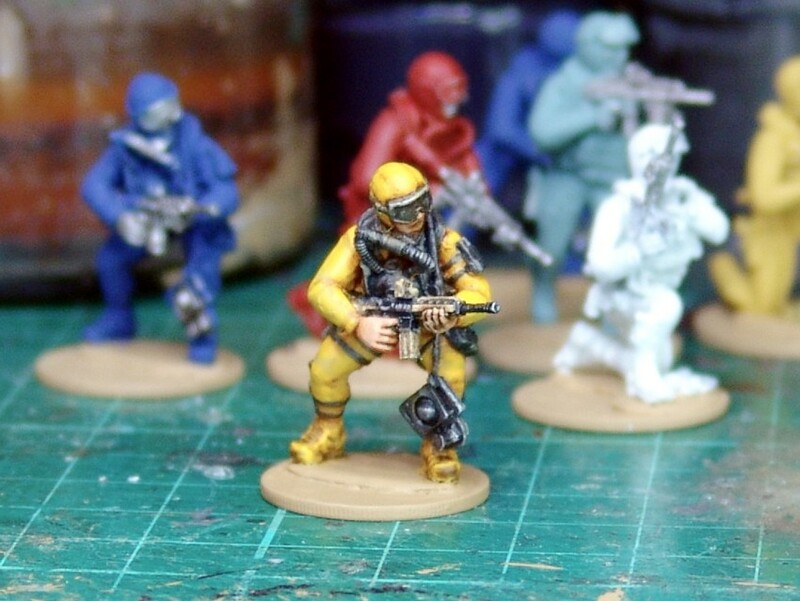 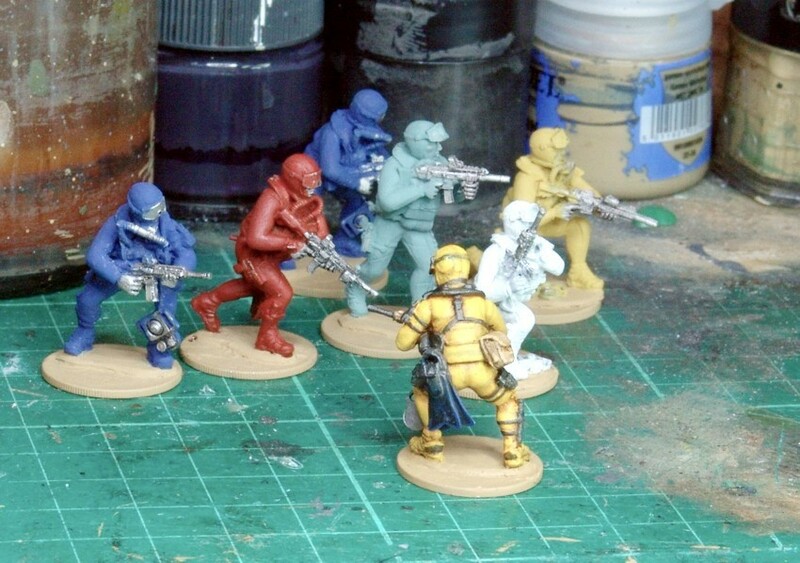 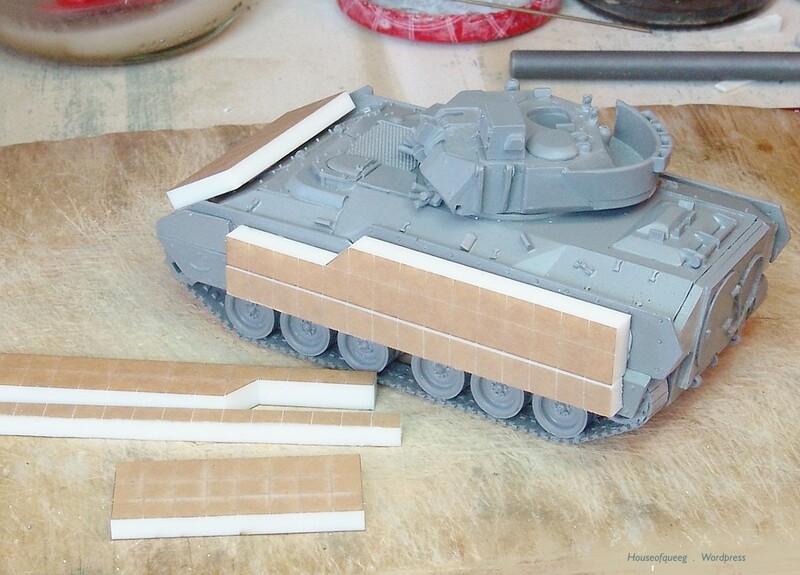 Also included are a couple of non Busk tracks (one a nice BFIST) in Nato with Tan accessories . 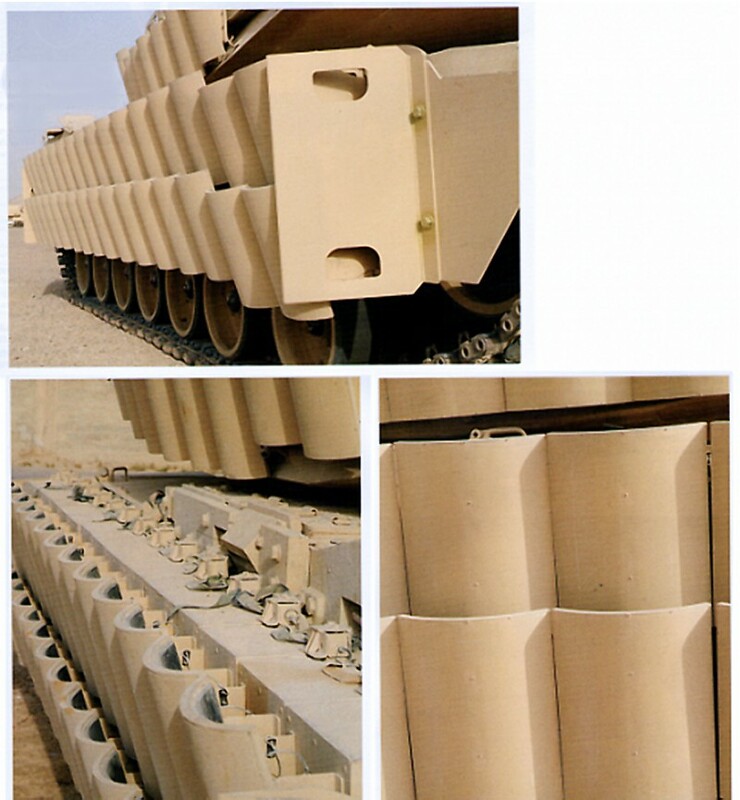 Pics are from open web sources and included for discussion purposes only. 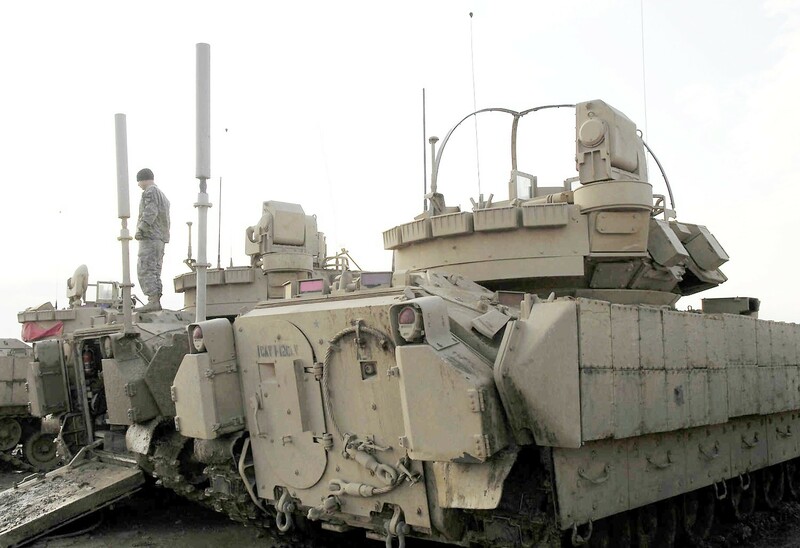 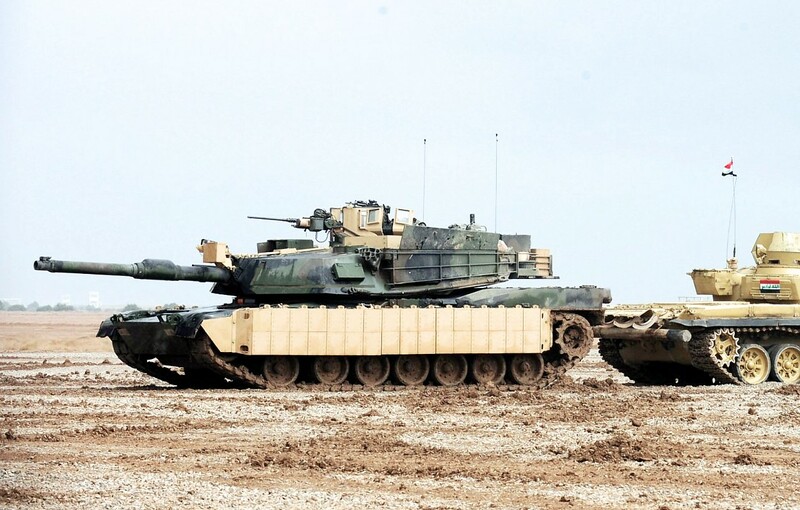 Bradley Fighting Vehicle drives off range. 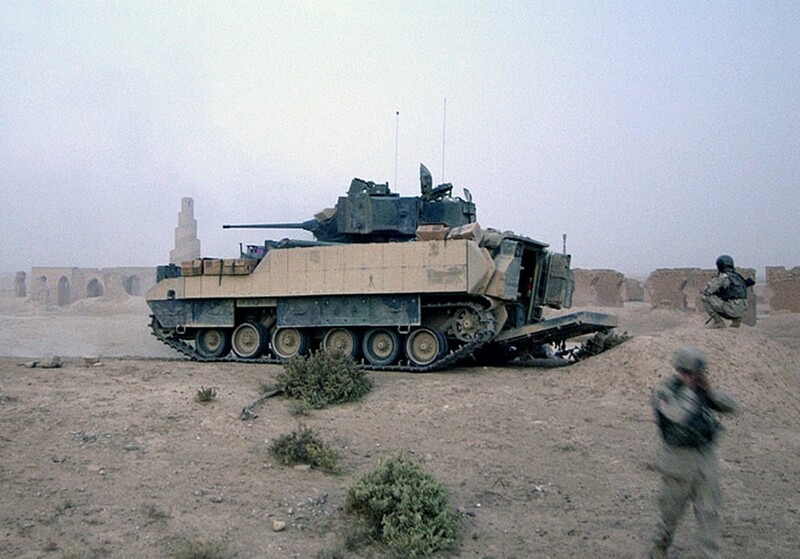 CONTINGENCY OPERATING BASE SPEICHER, Iraq – Infantrymen from 1st Battalion, 5th Cavalry Regiment, 2nd Advise and Assist Brigade, 1st Cavalry Division, drive their M2A3 Bradley Fighting Vehicle off of Memorial Range after zeroing the 25mm main gun and M240B machine gun during a live fire exercise in support of Operation New Dawn near Contingency Operating Base Speicher, Iraq, July 29, 2011. 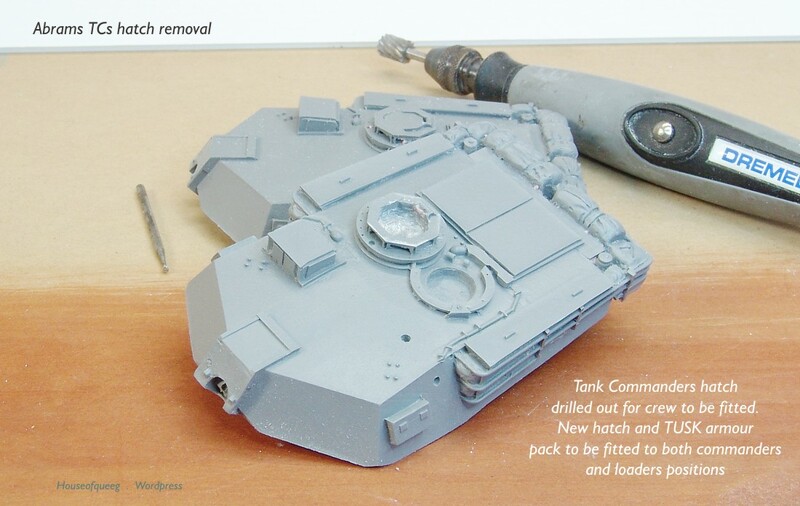 And intermediate detailing progress …. 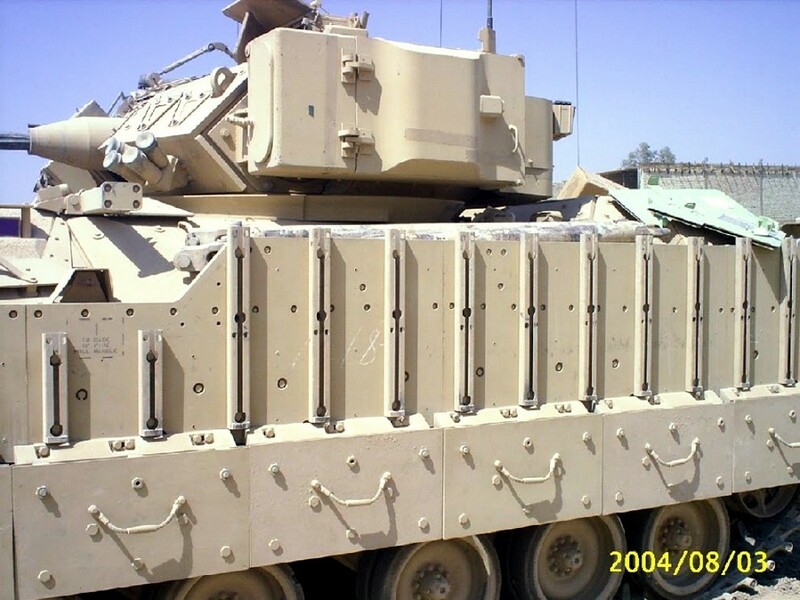 Hunting for something to make the ERA (explosive reactive armour) blocks from proved tricky for a while. 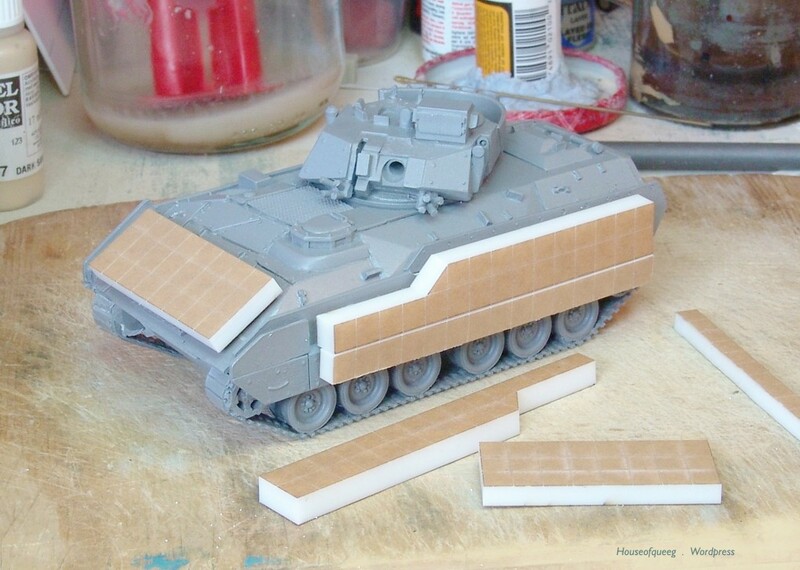 Sounds easy doesn’t it, after all it’s just some plastic blocks/strips. 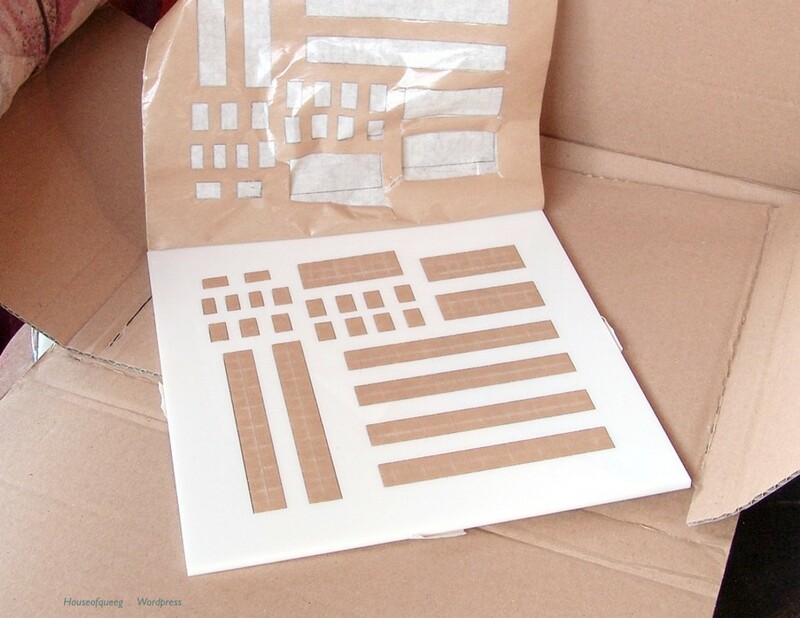 However none of the plastic sheet on hand including some acrylic was thick enough and would prove difficult to cut accurately anyway. 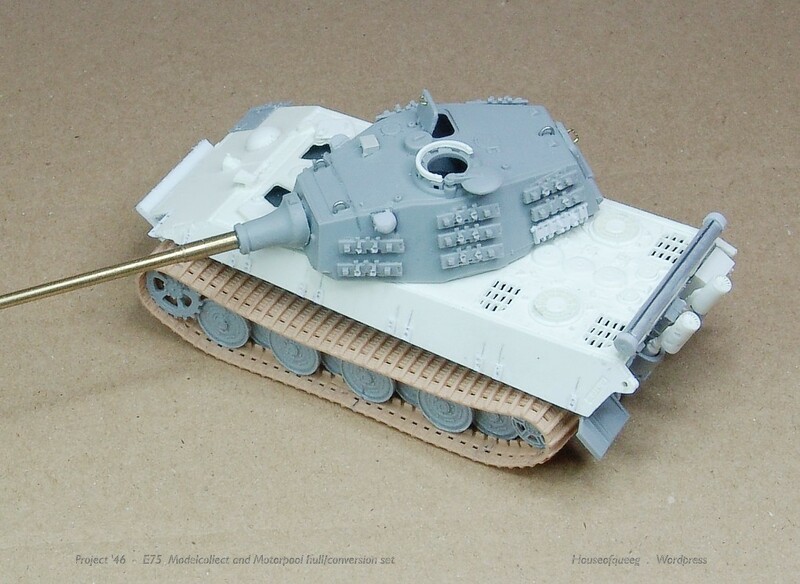 After much searching I went alternative and looked at the wood strip supply. 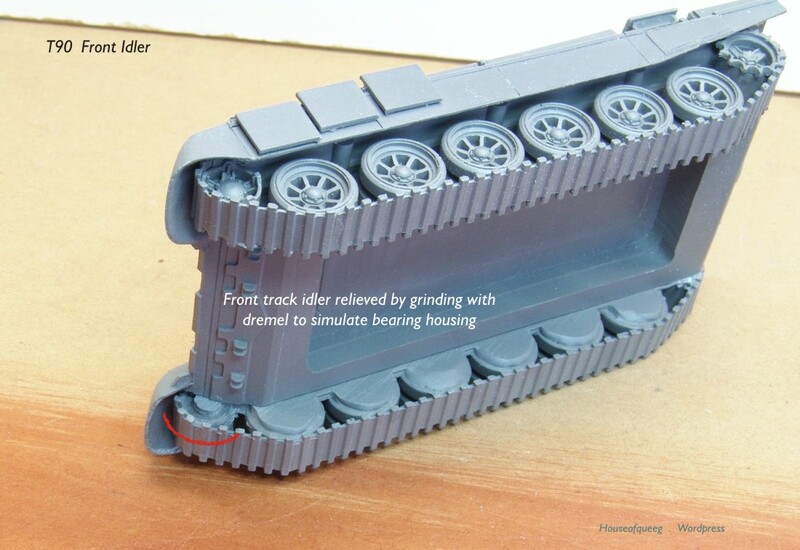 I finally found something that looked close and after some measurements decided it looked almost perfect to get both the required hull length and side rail depth. 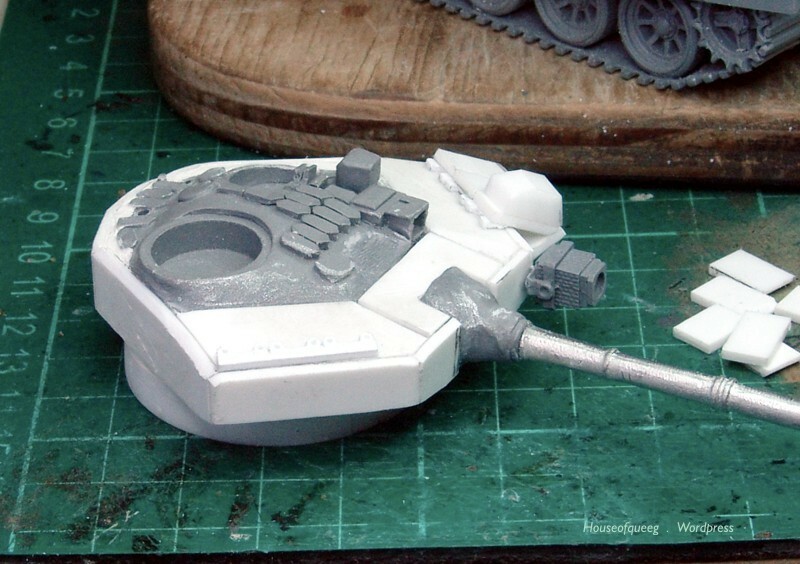 I cut a test piece and decided it worked well enough to crack on with. 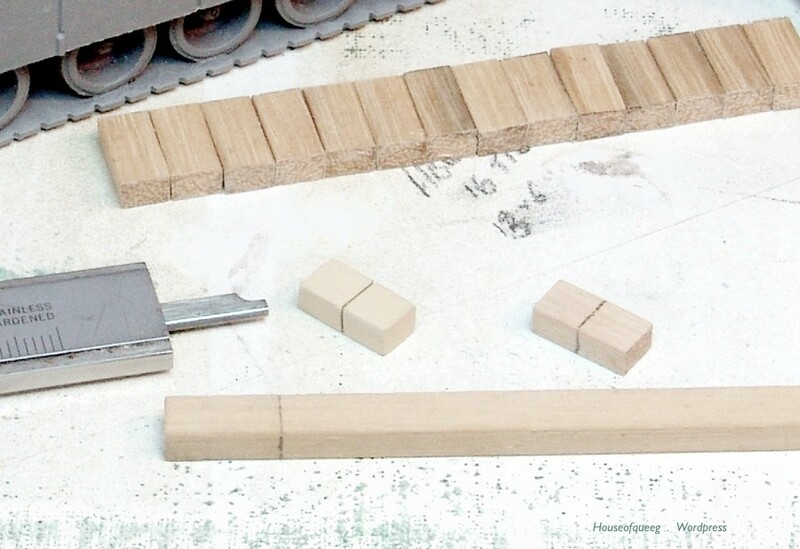 The wood strip is bass wood used in picture framing (1/4″ x 3/16″) and should be readily available at hardware outlets, which is handy as I’ll need more including a thicker depth for the Bradley tiles. 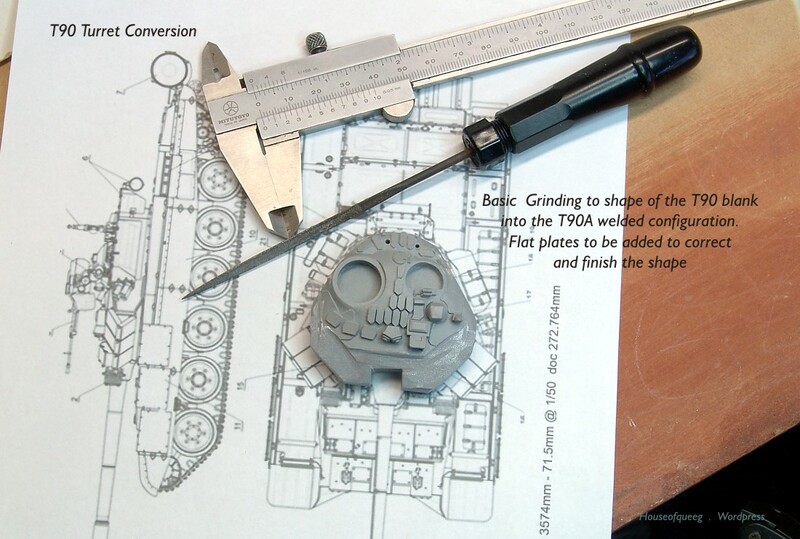 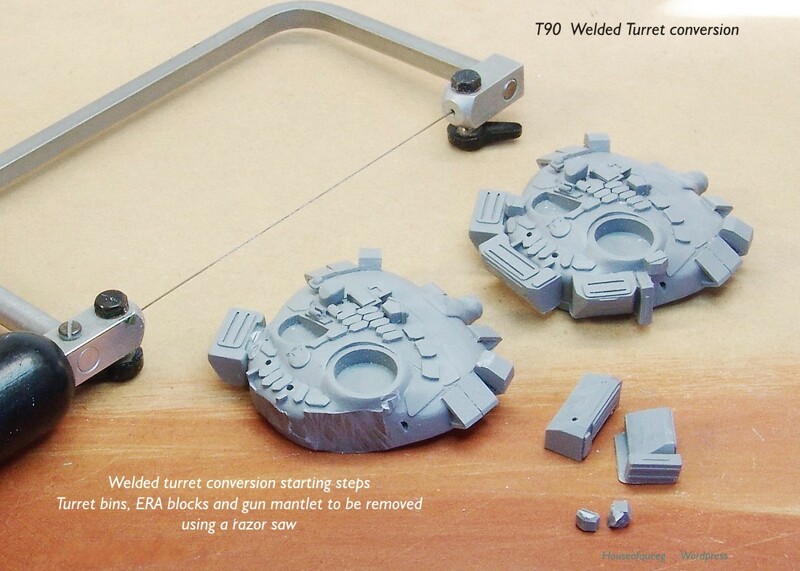 Ideally this should be done by creating a strip of tiles with it’s mounting backing plates and then casting it in resin for the multiple copies required. 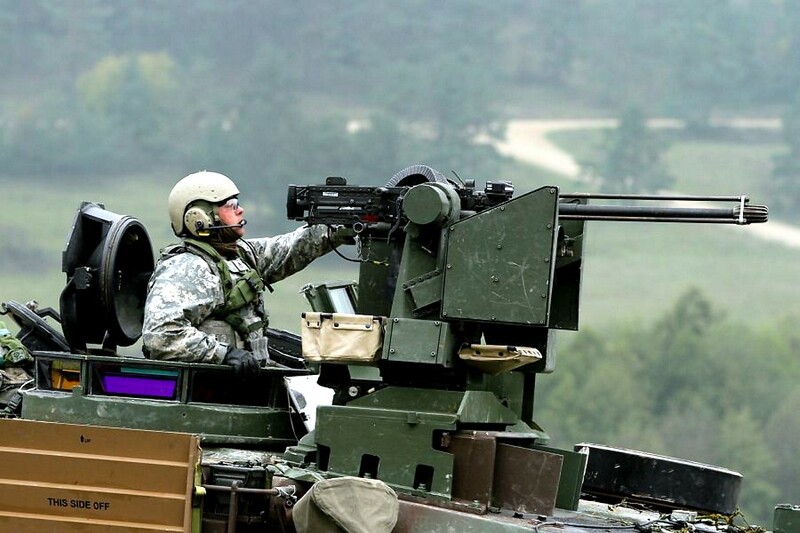 I may …. 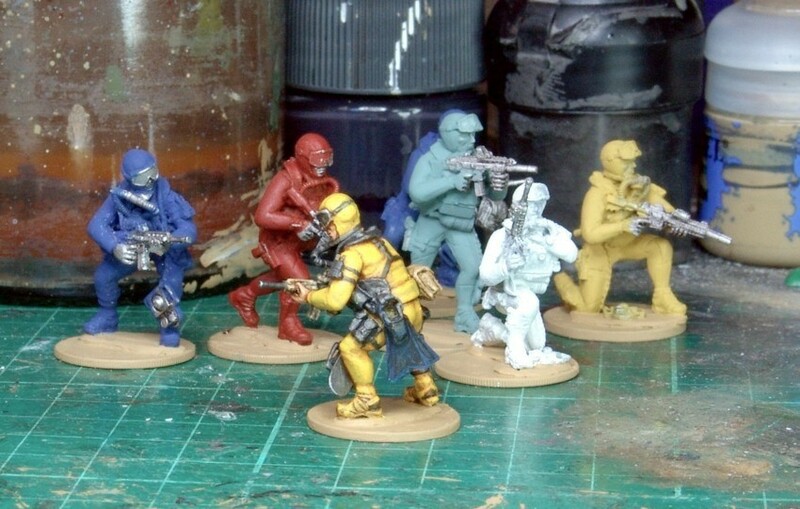 still try this if I can fund some resin but as finding that amount of spare cash is unlikely I’ll probably have to carry on manually. 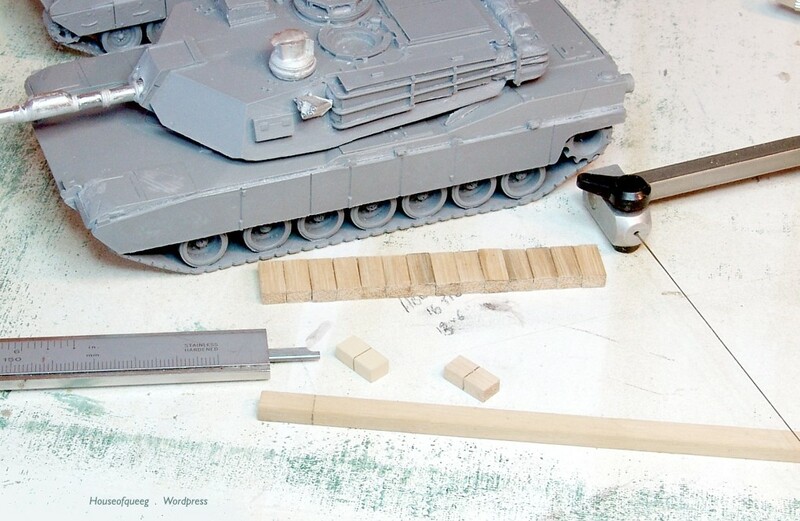 Either way the strip was marked to the length required for the double stacked block (13mm as the Abrams side skirt is 14mm), cut to size with the diamond saw and then cleaned up by a gentle sanding. 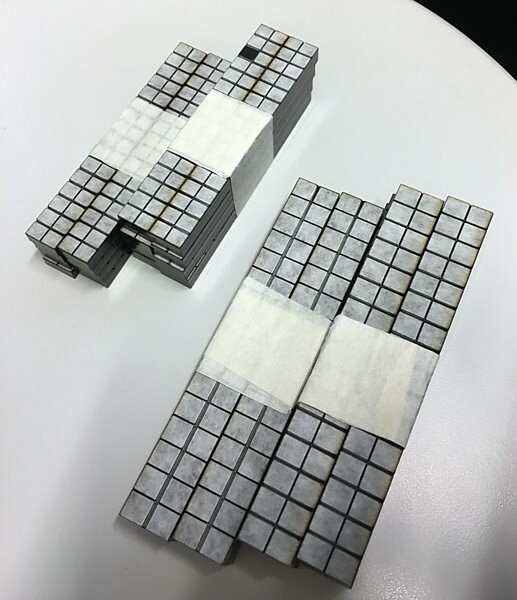 A half way line to simulate the 2 separate blocks was marked and then an impression cut into the block with the saw. 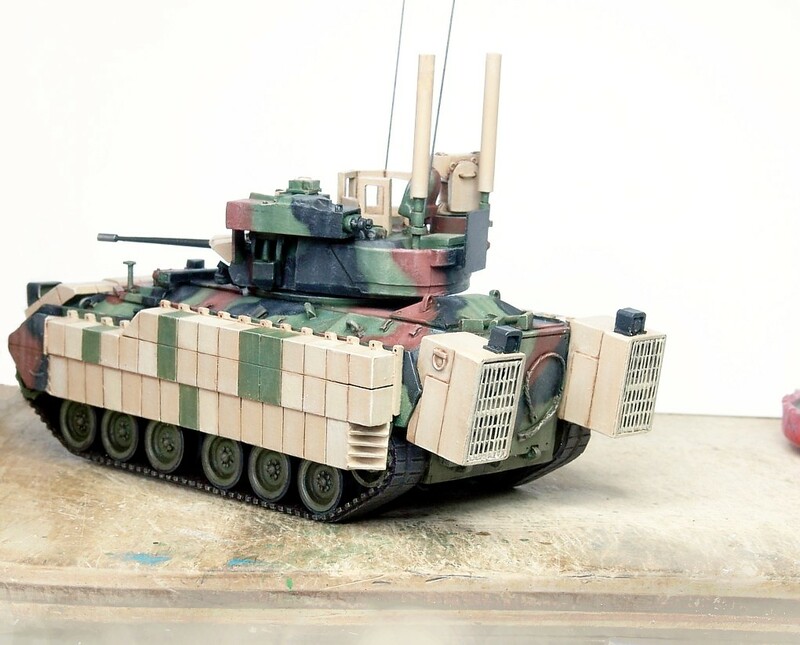 I painted it with some Vallejo Sand to seal it and check that the grain didn’t show. 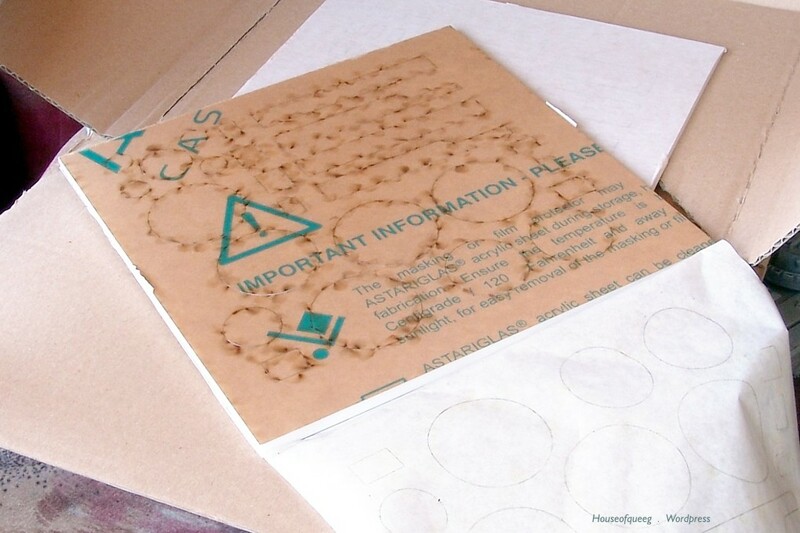 Being a denser wood required for picture framing all was good as so the test block was ticked off. 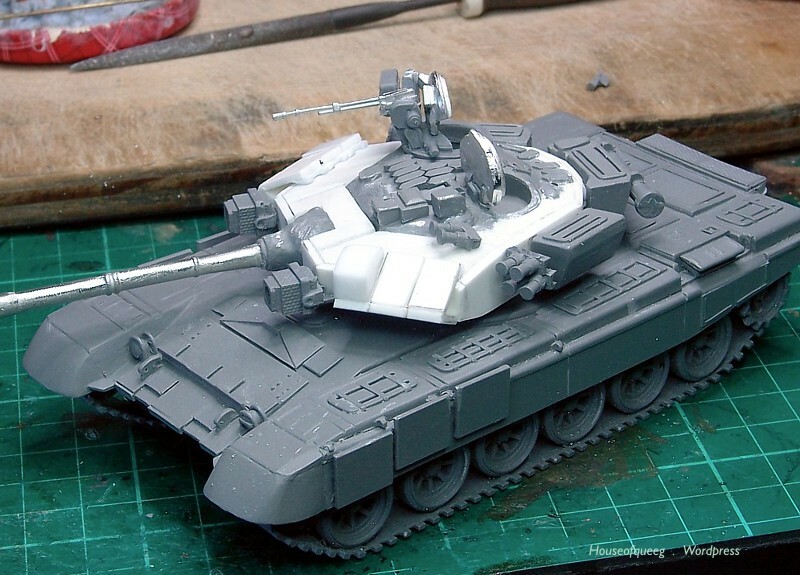 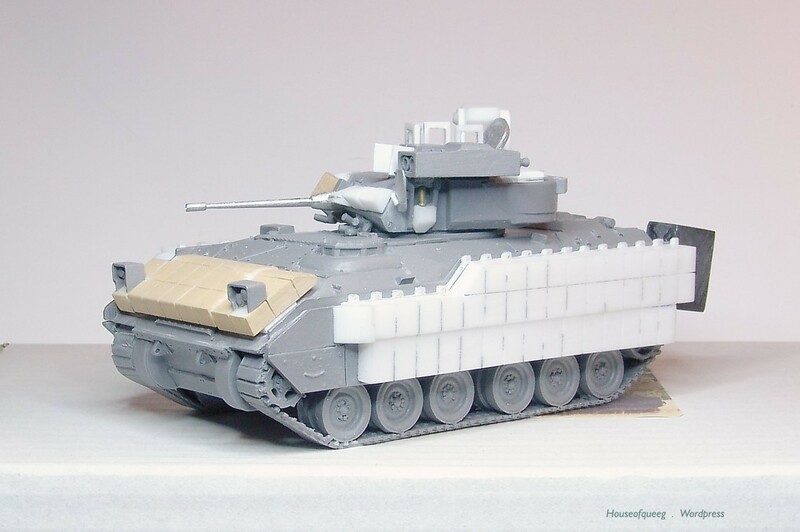 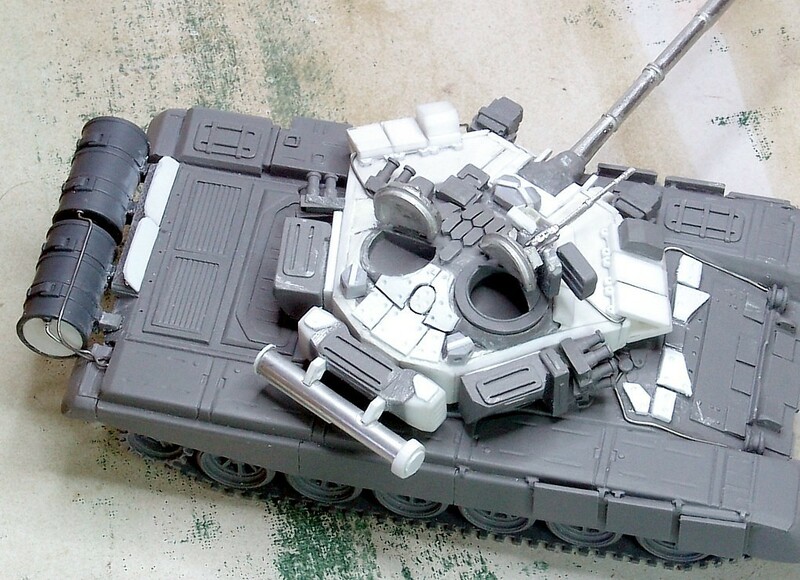 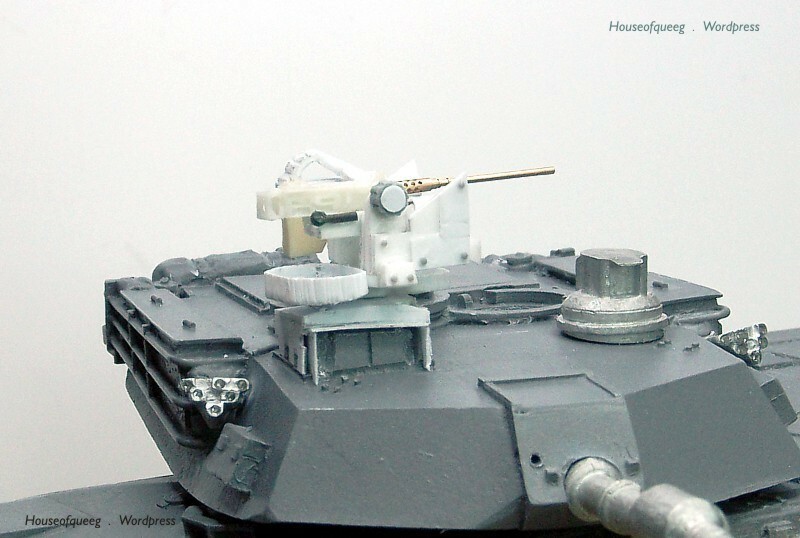 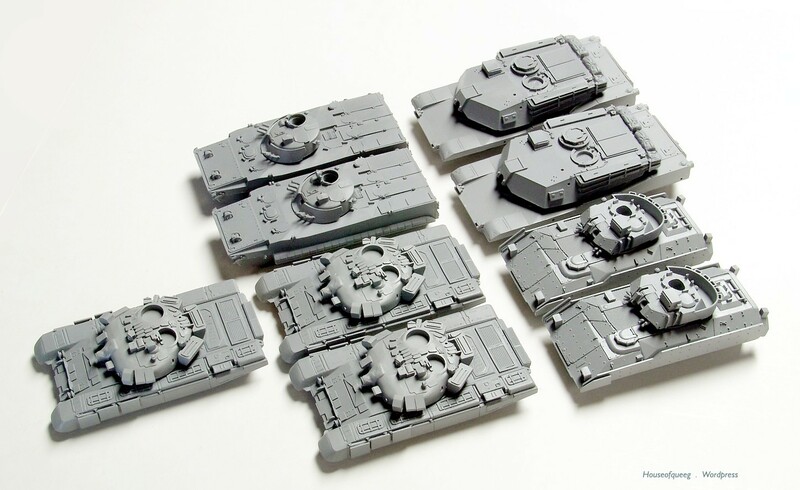 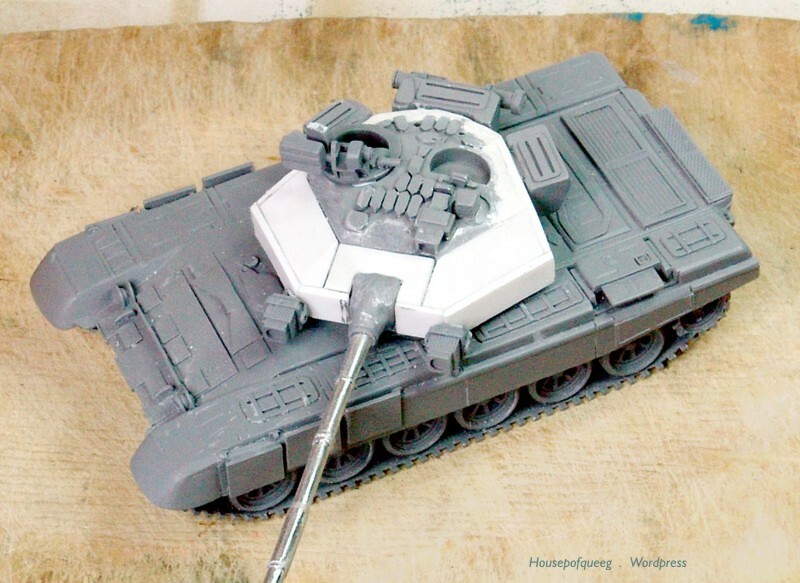 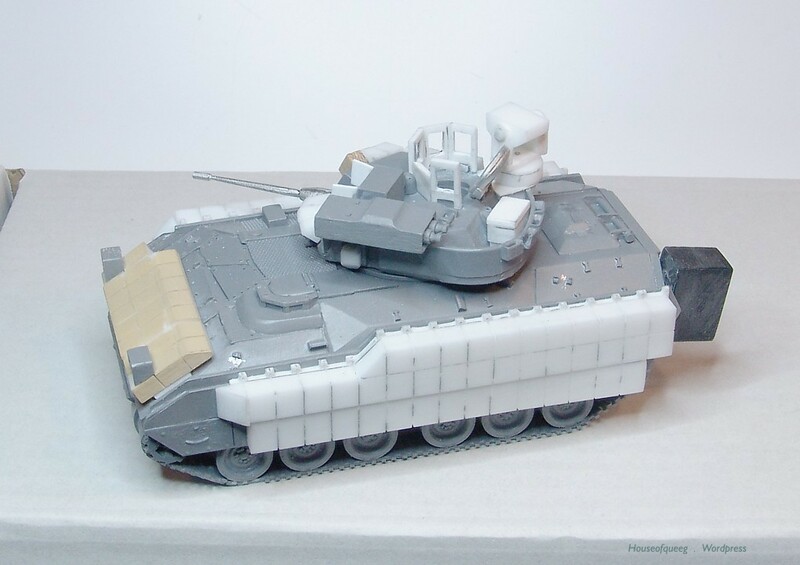 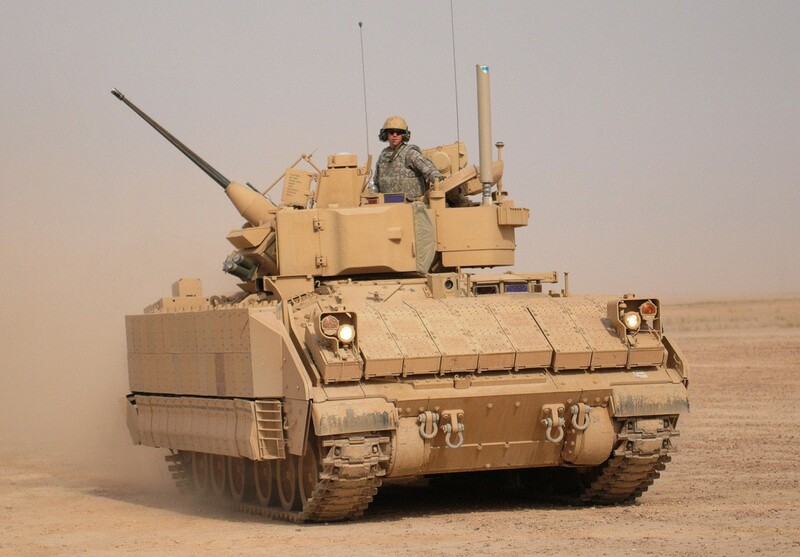 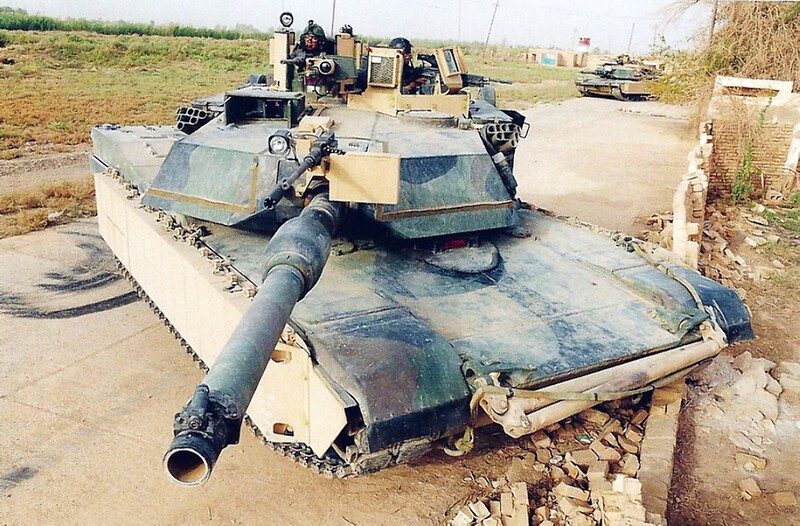 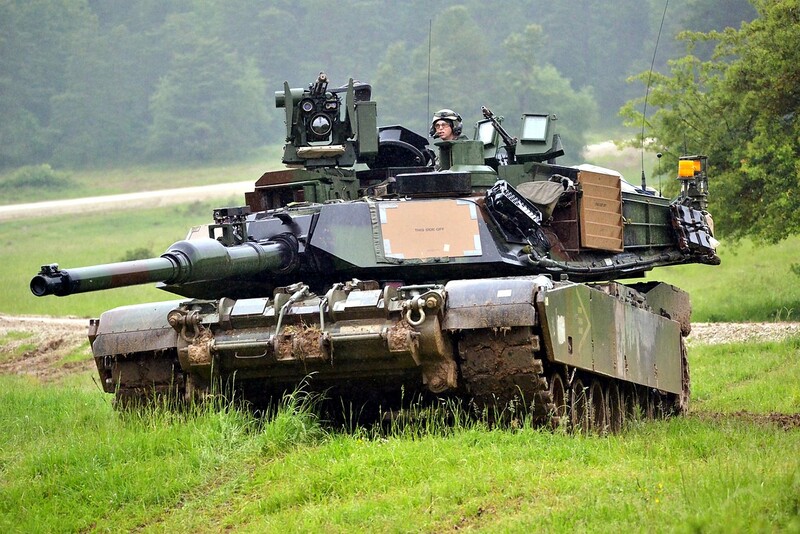 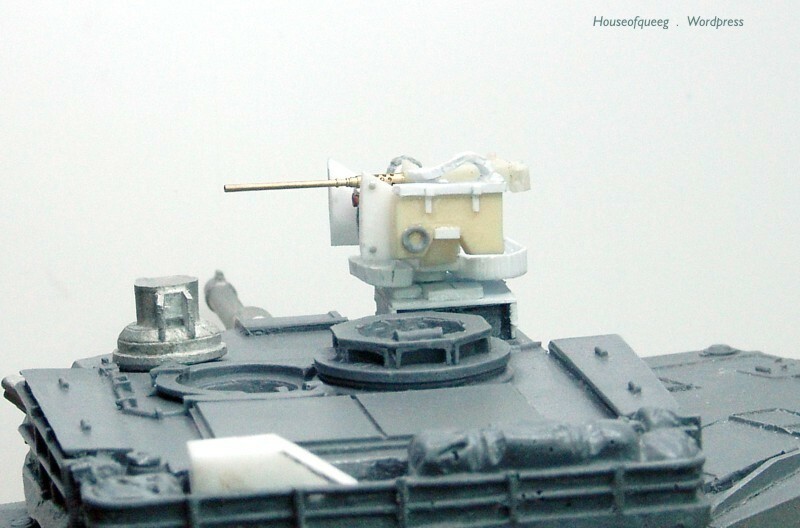 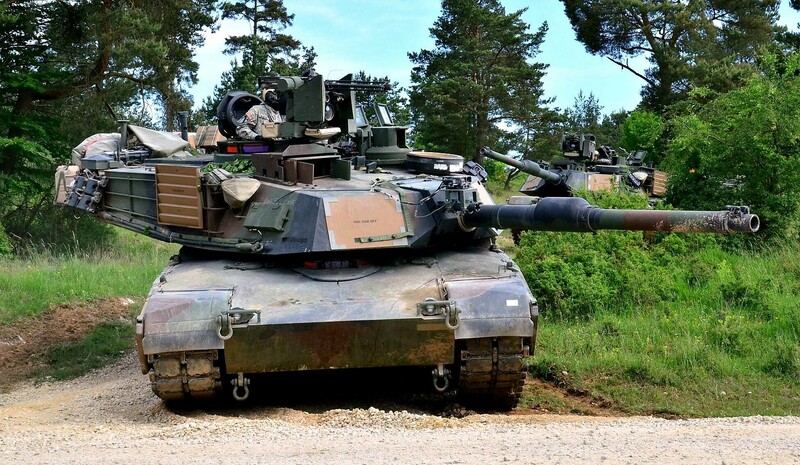 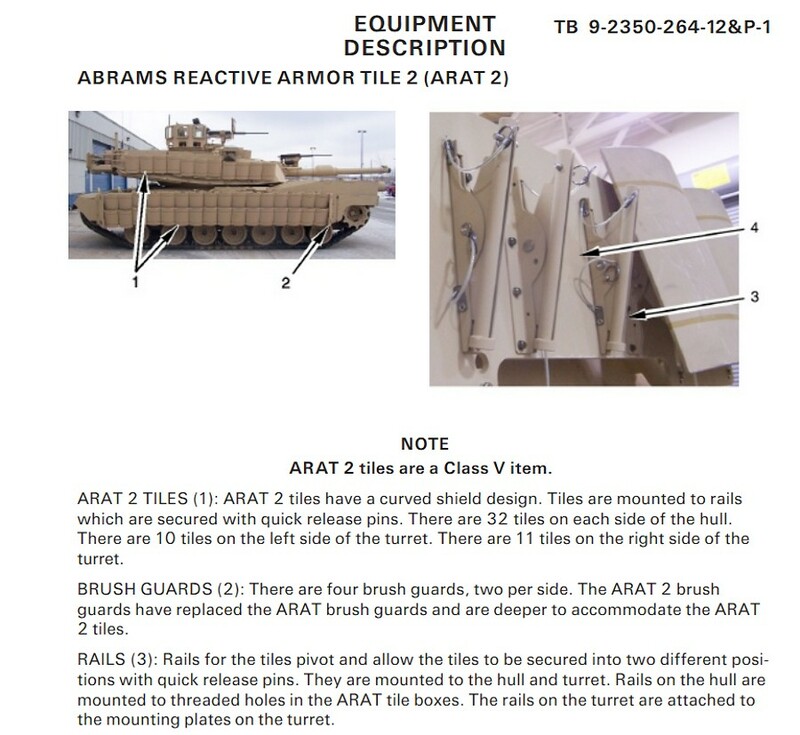 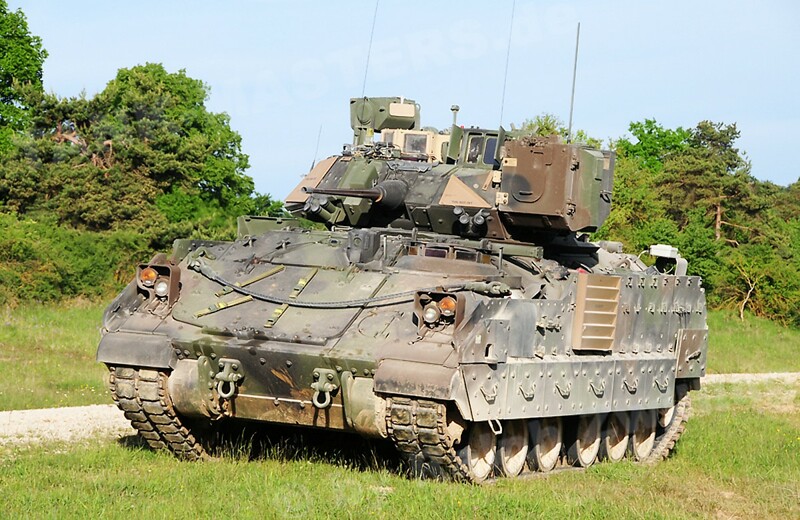 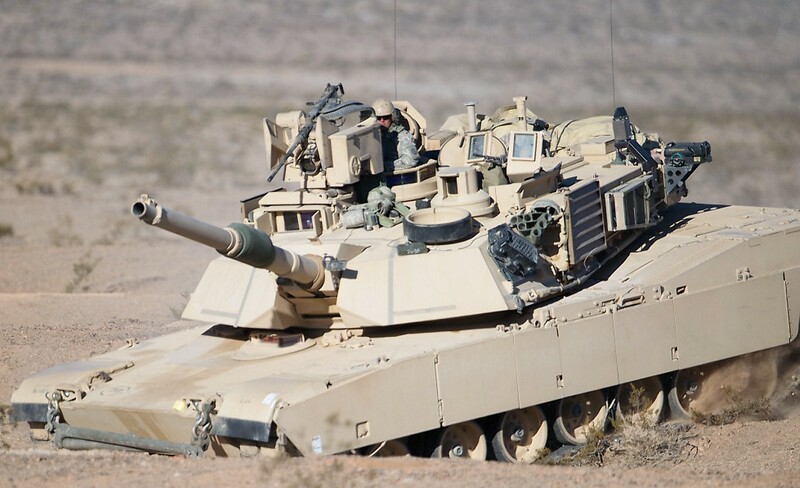 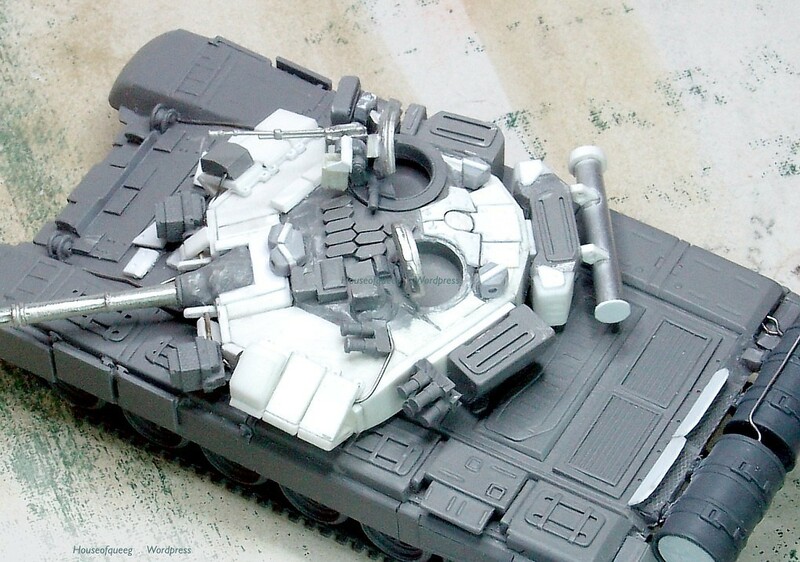 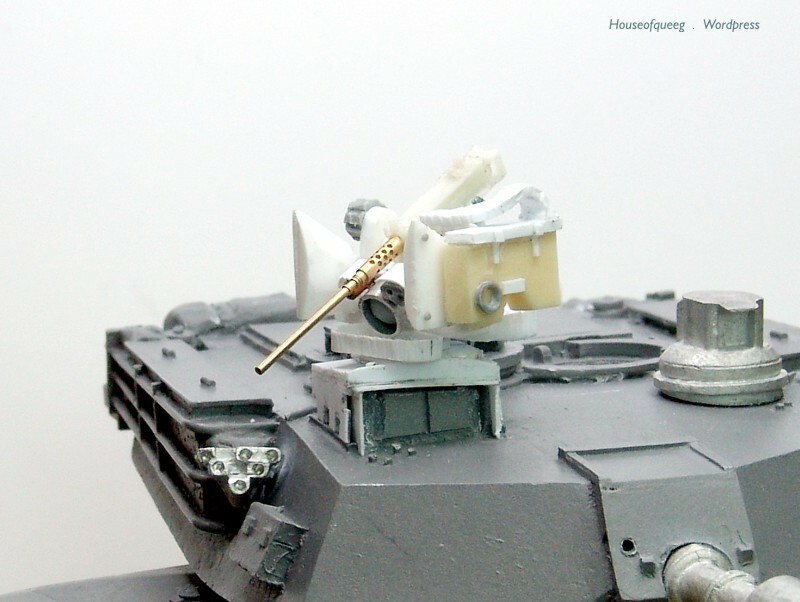 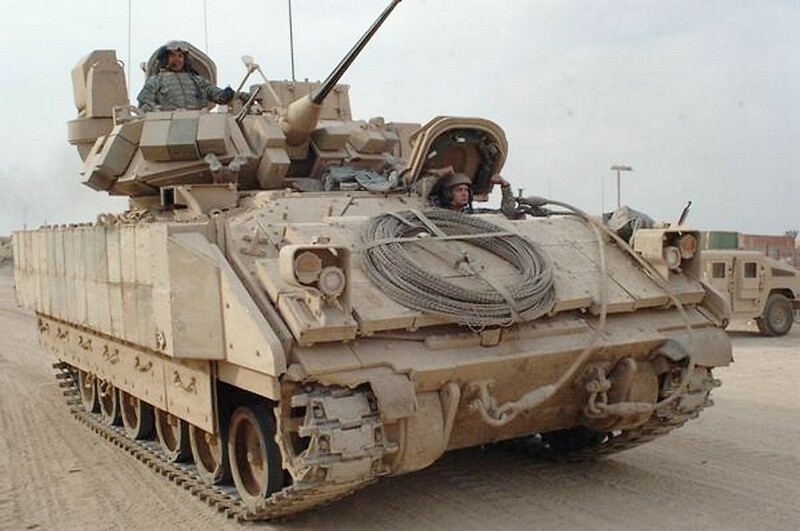 The Abrams can be currently retrofitted with ERA bocks as part of the TUSK (Tank Urban Survivability Kit) upgrade. 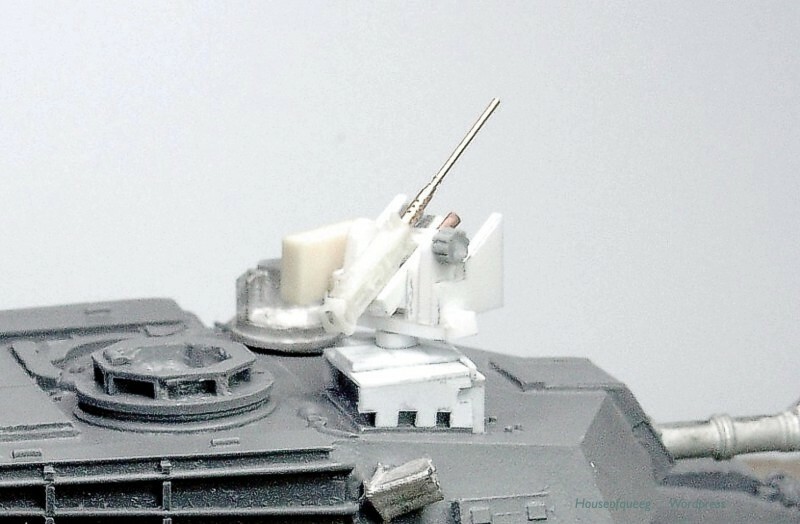 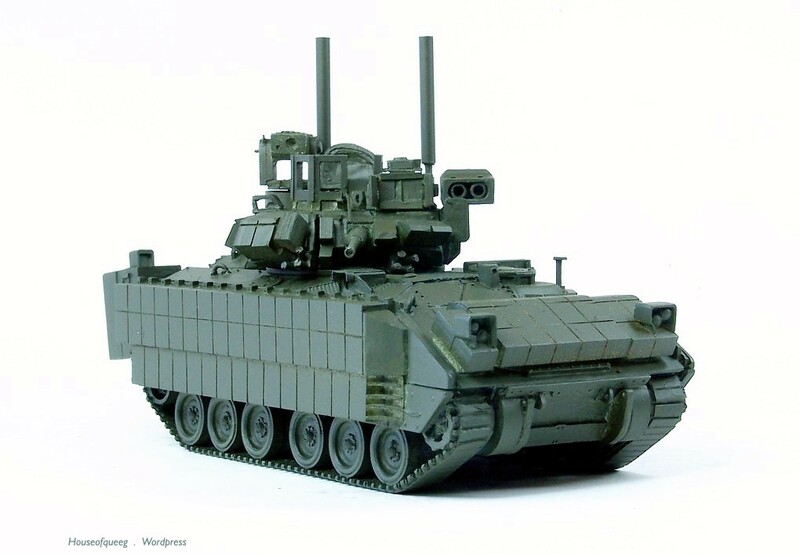 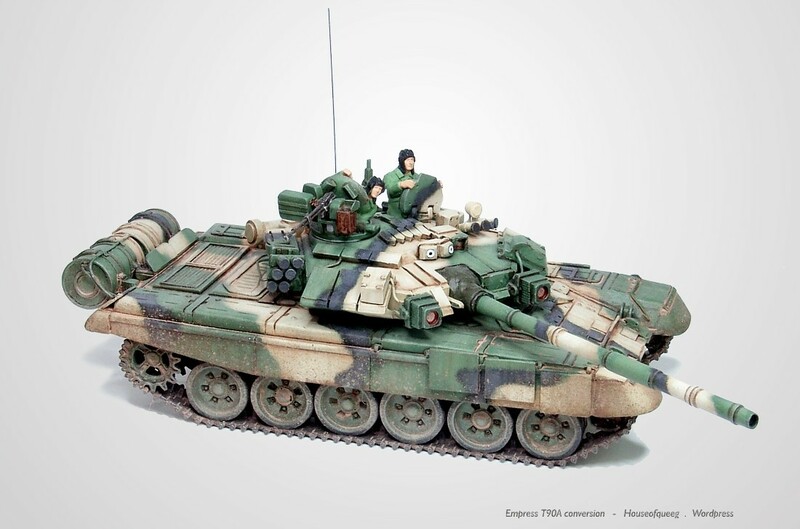 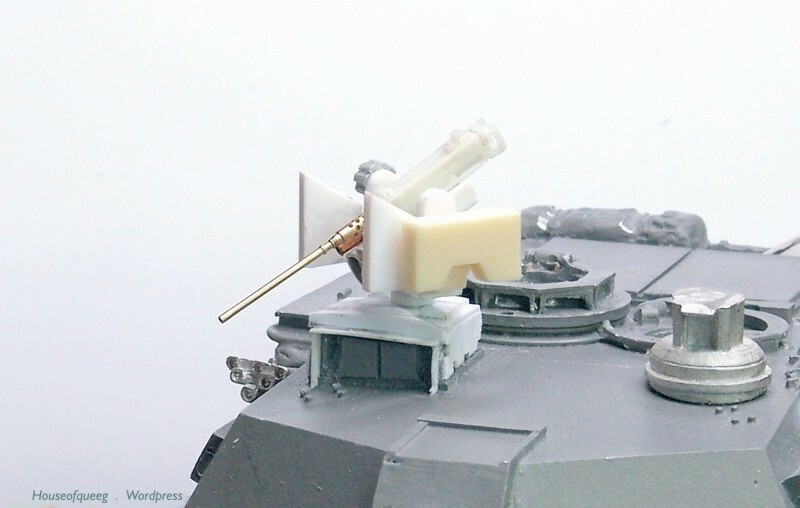 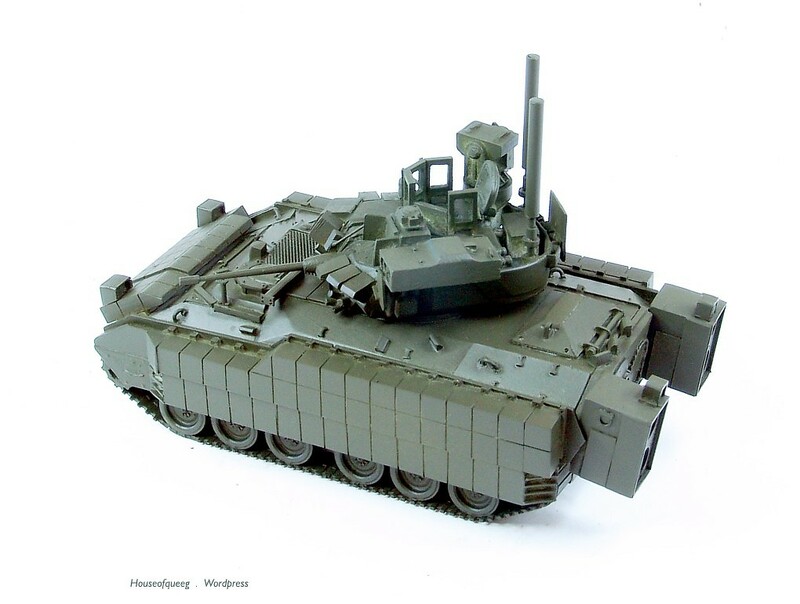 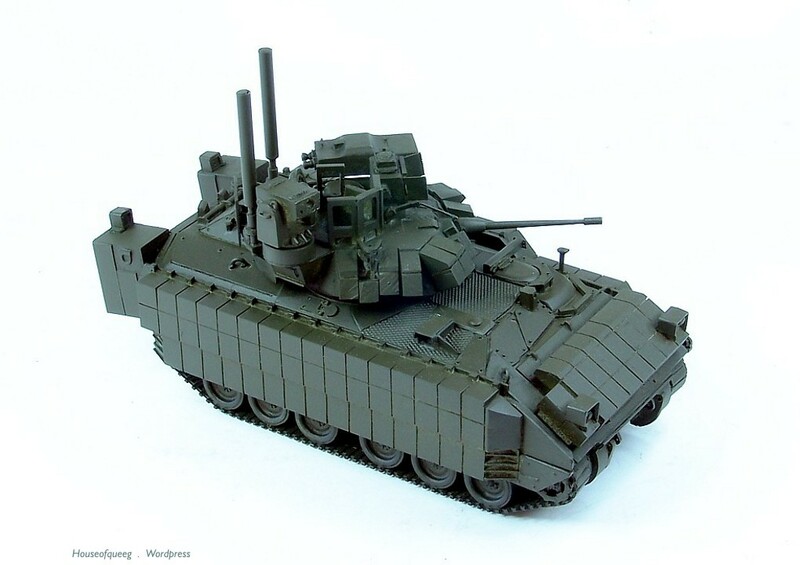 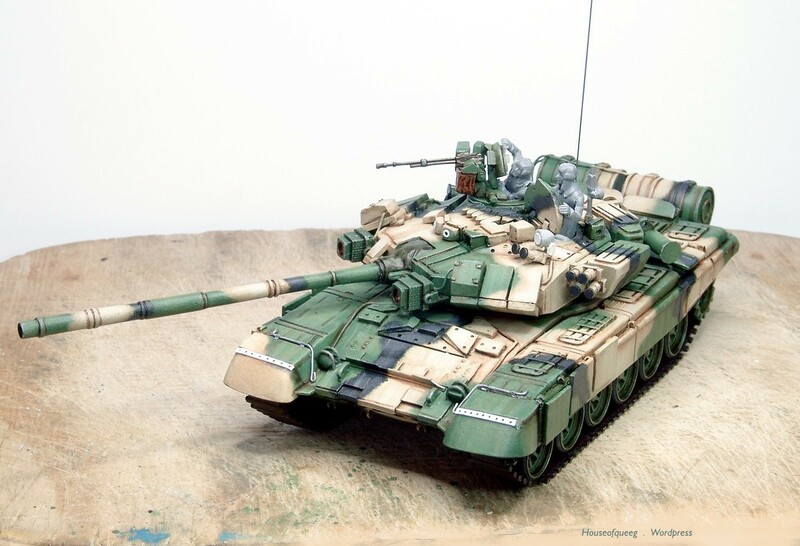 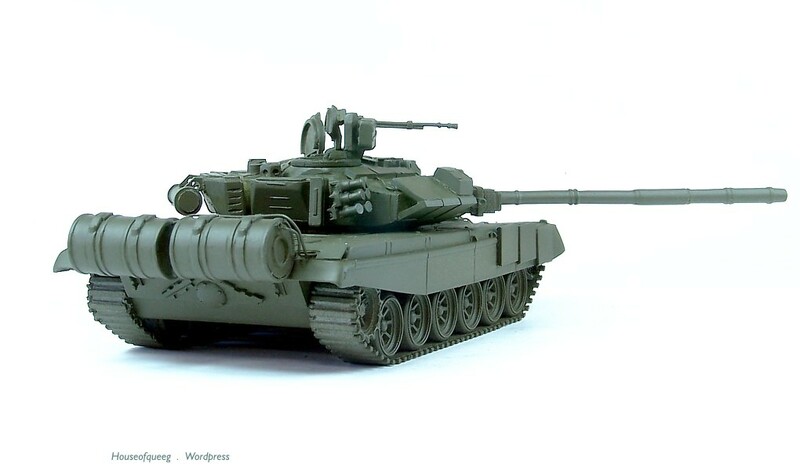 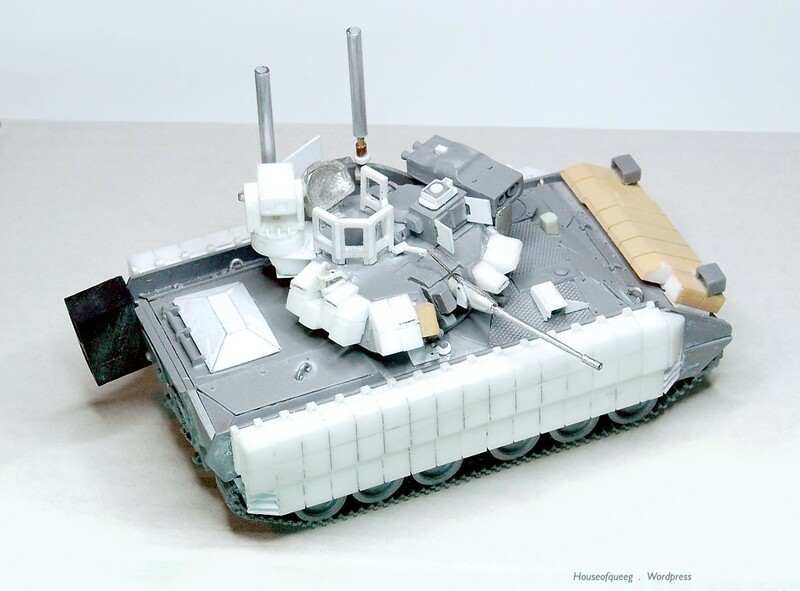 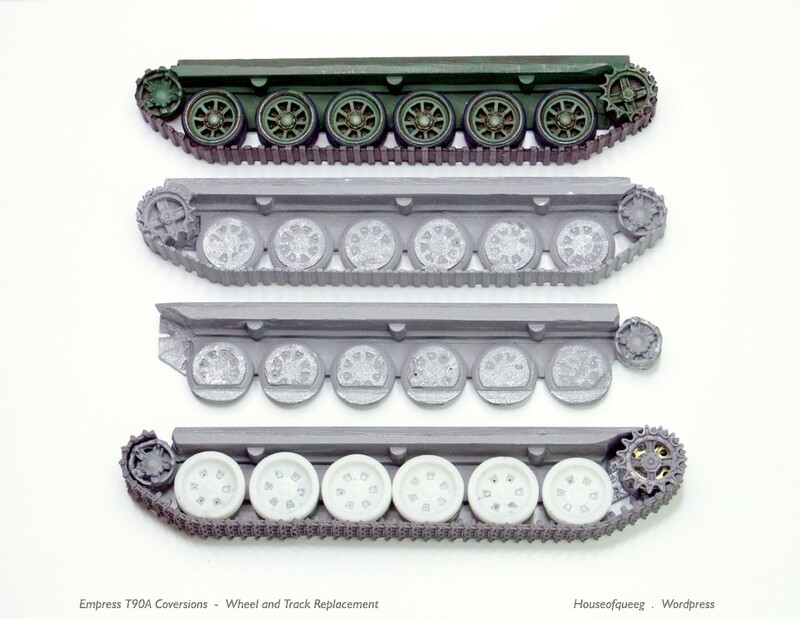 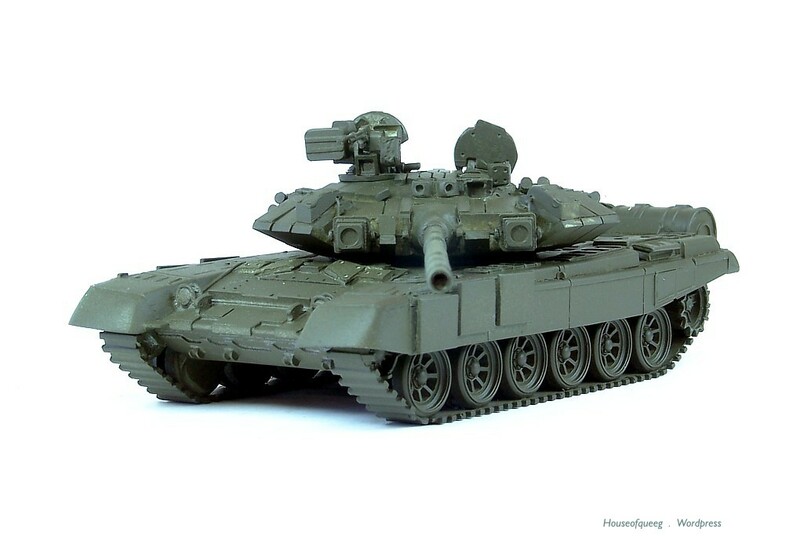 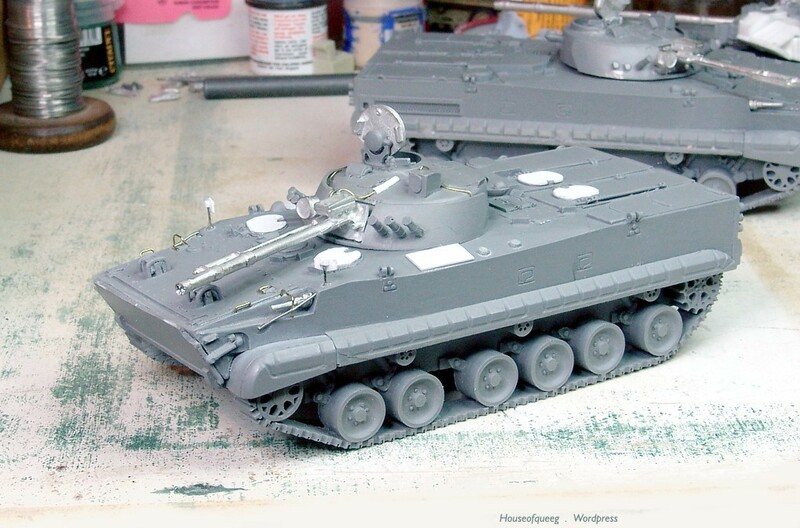 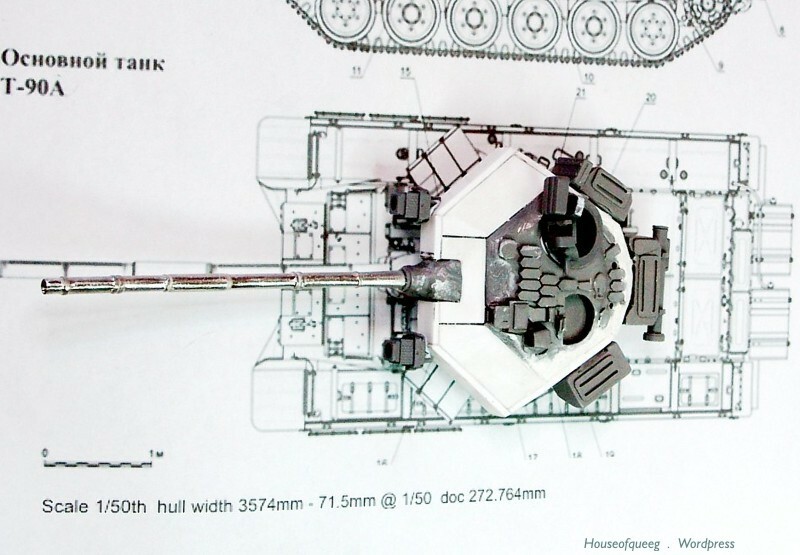 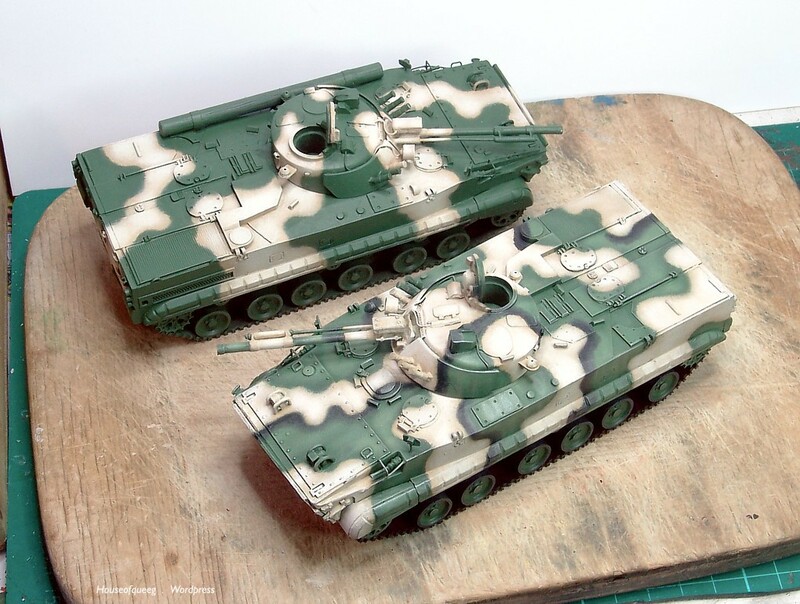 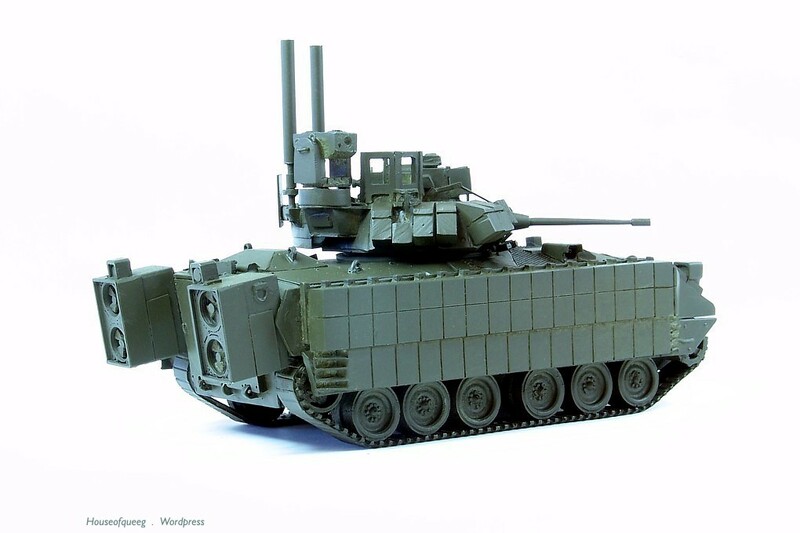 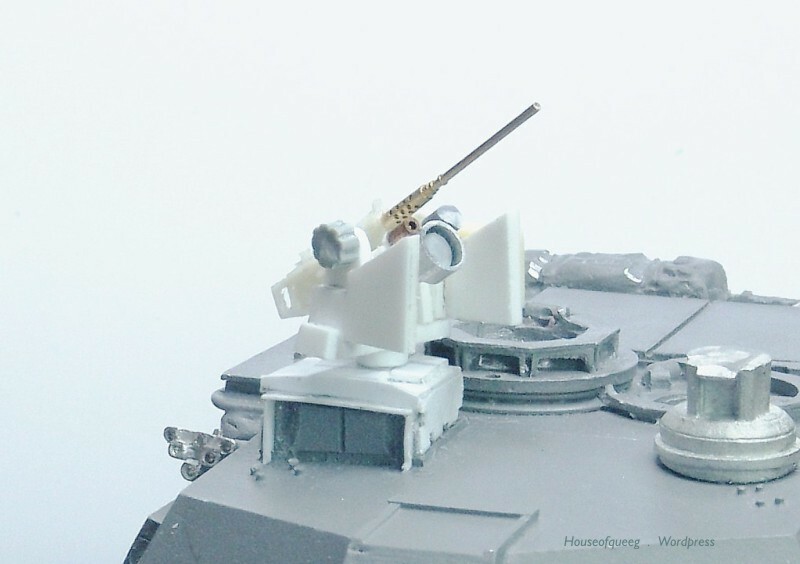 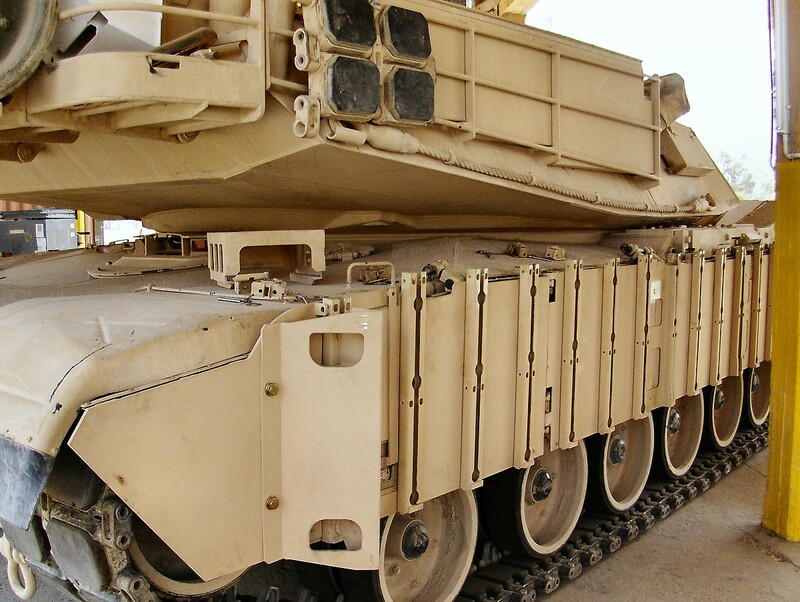 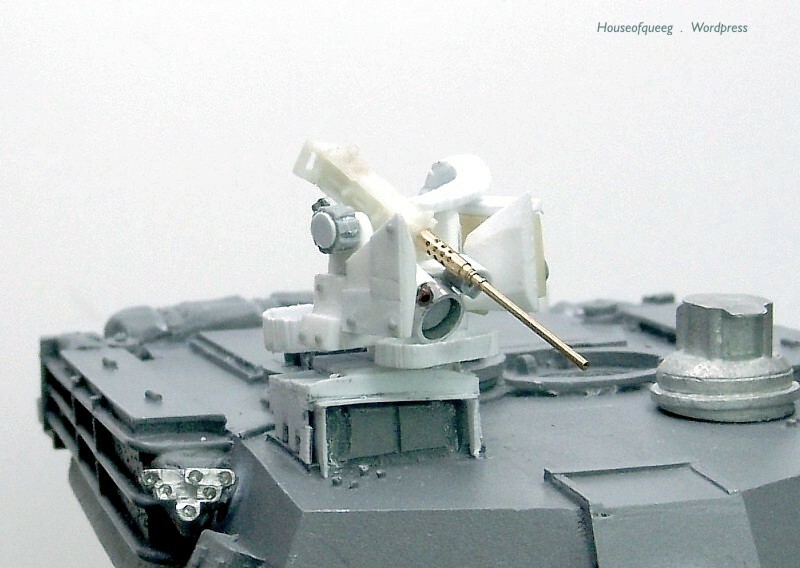 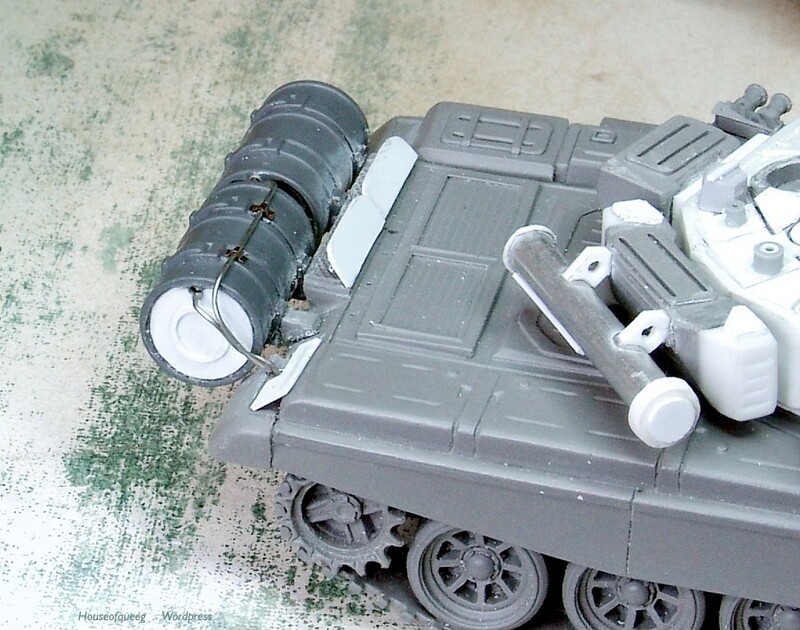 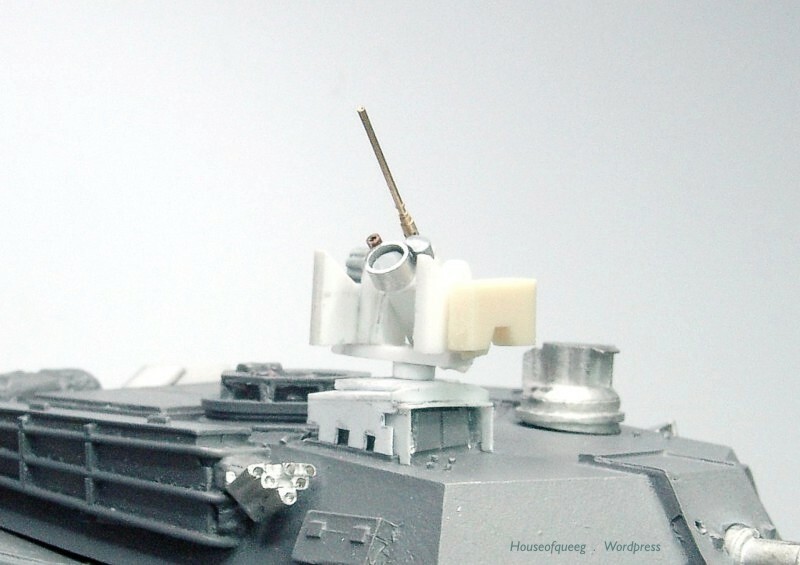 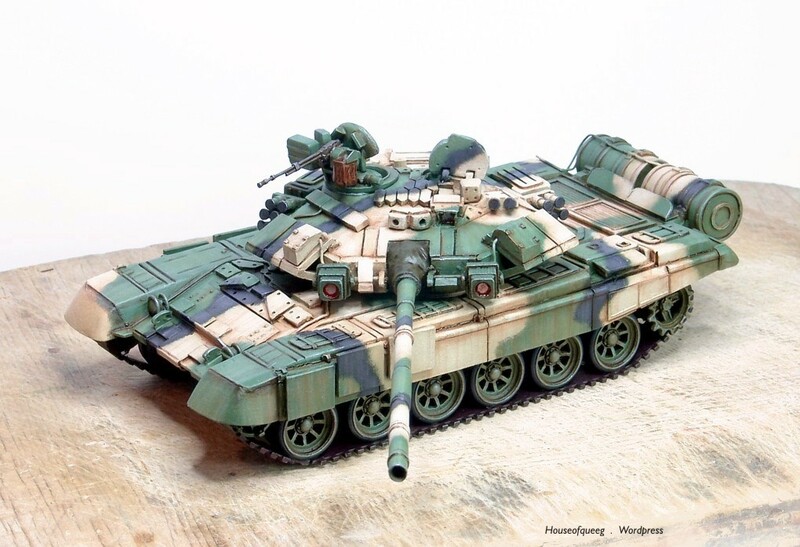 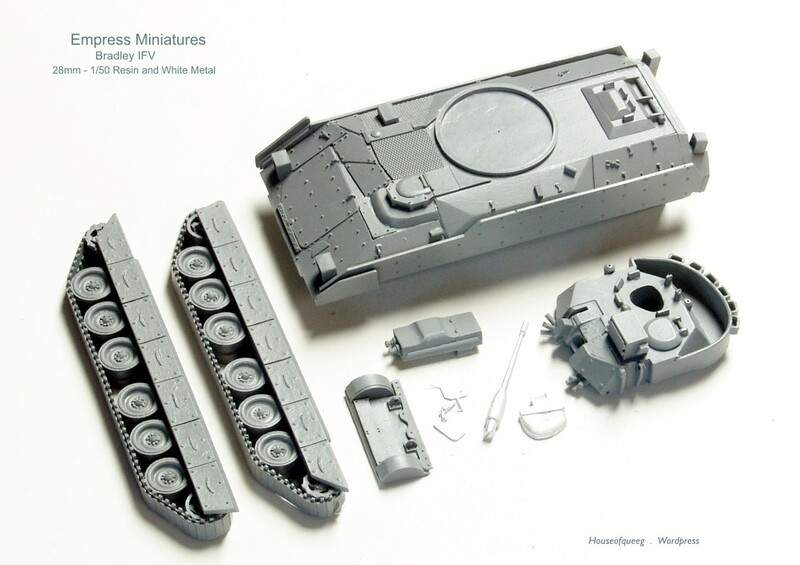 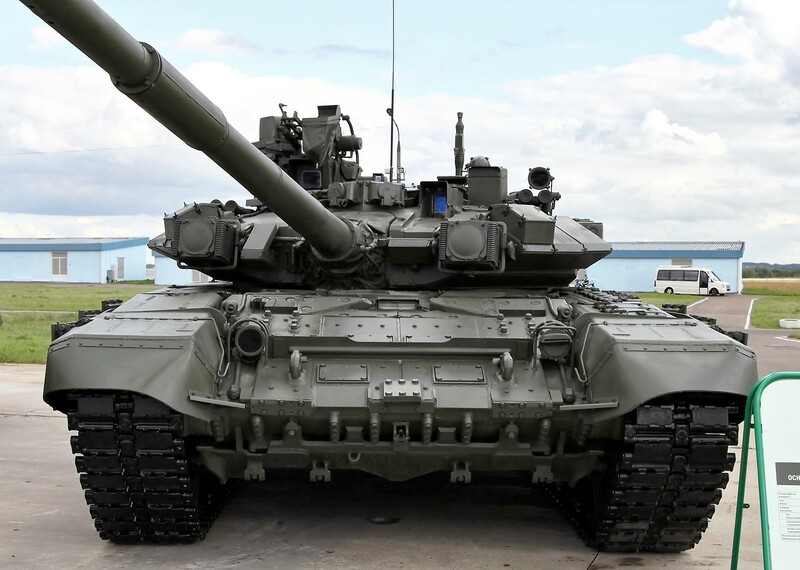 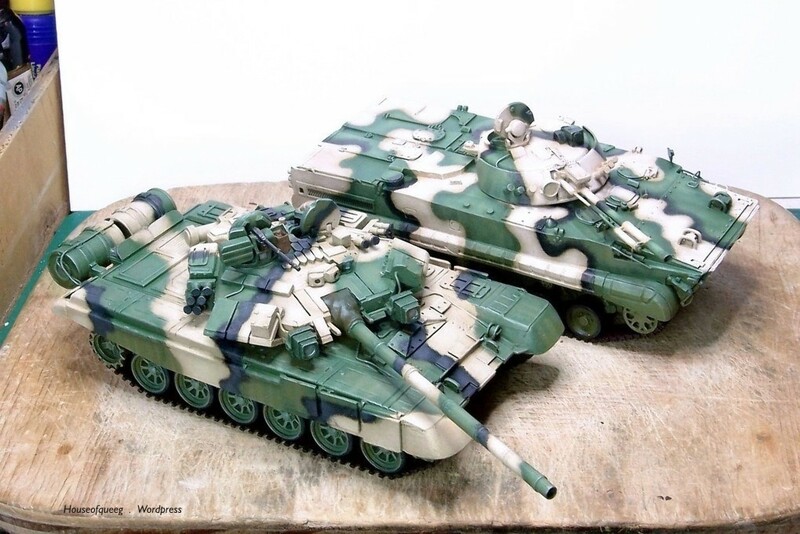 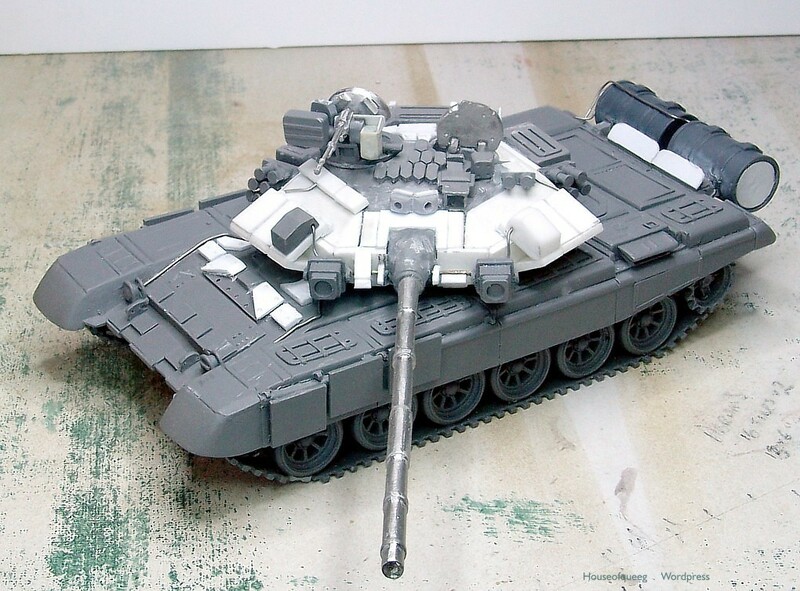 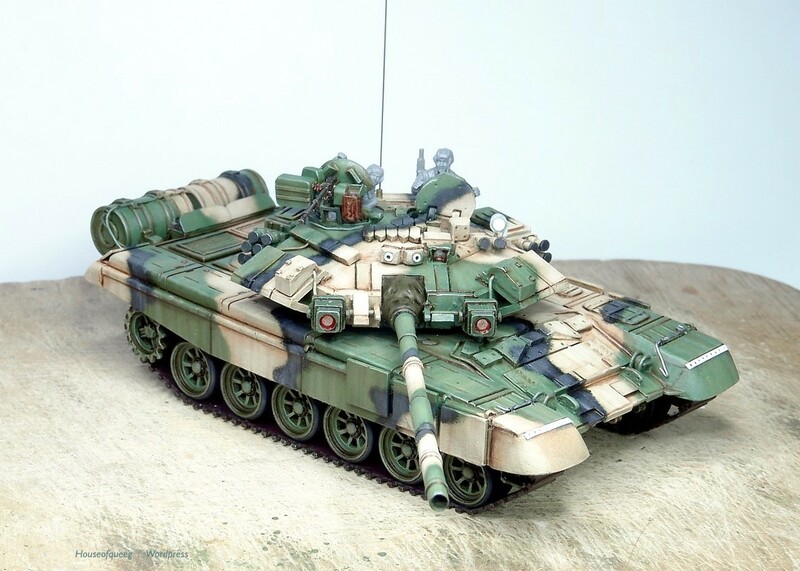 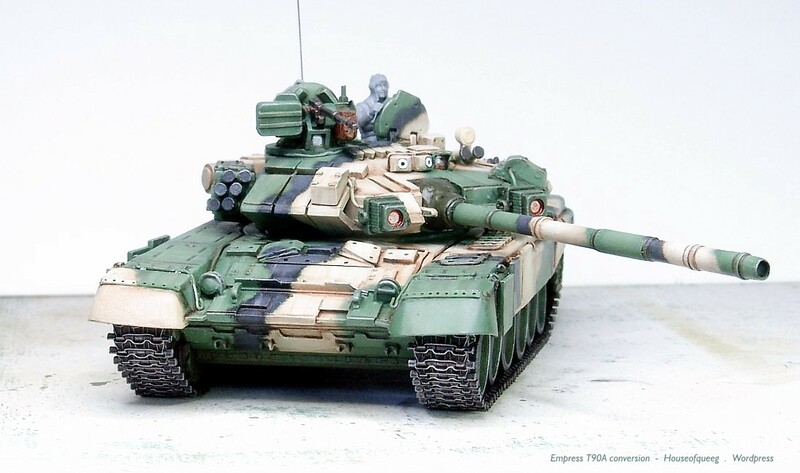 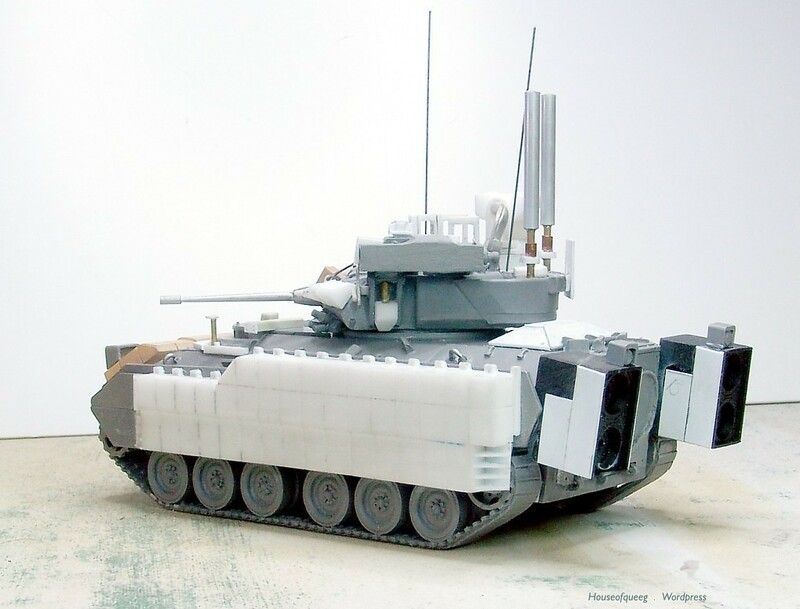 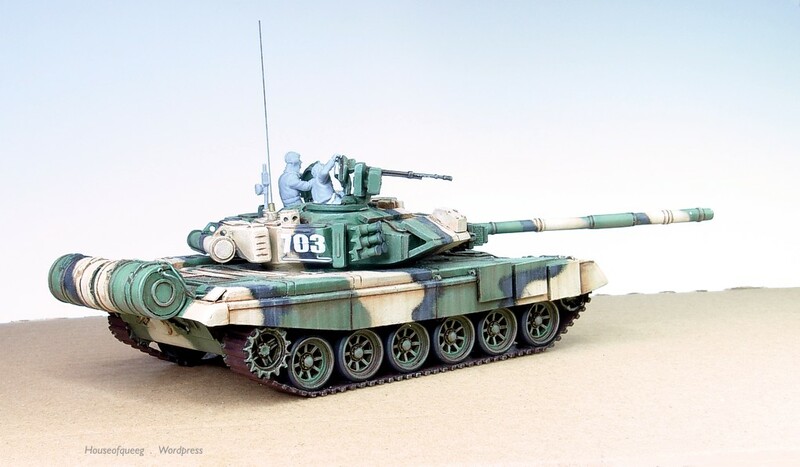 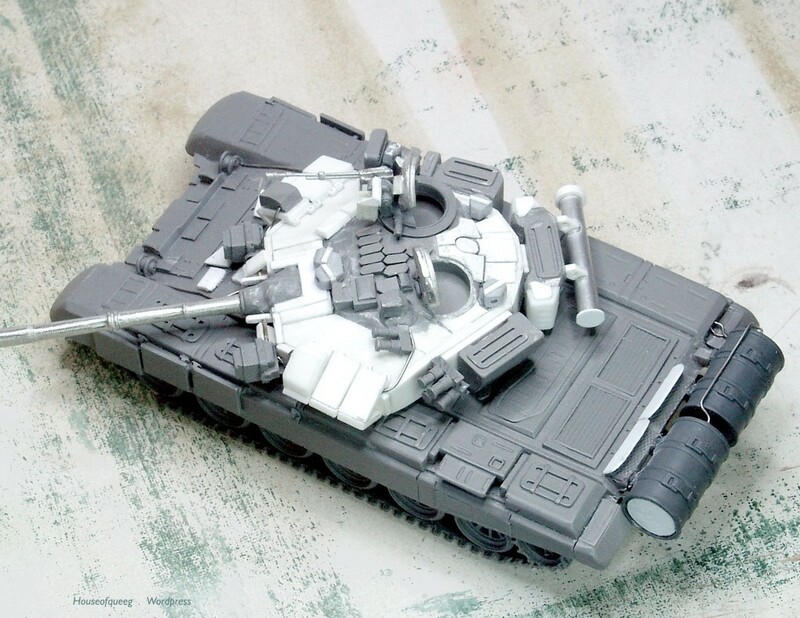 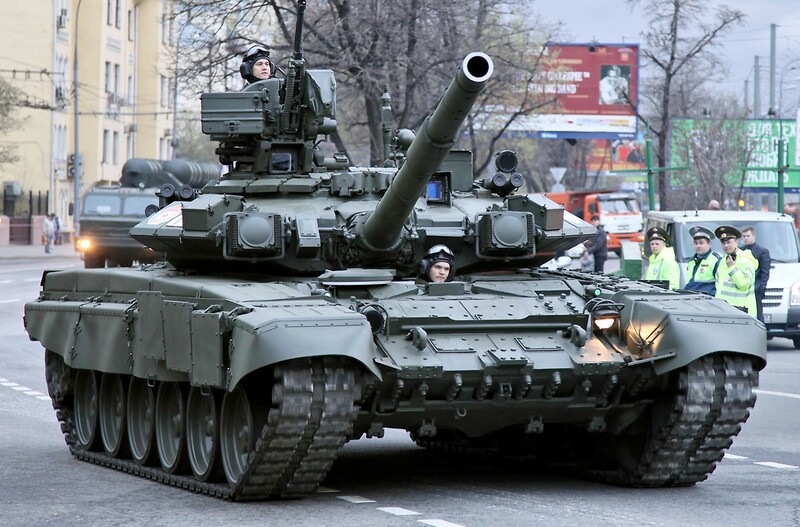 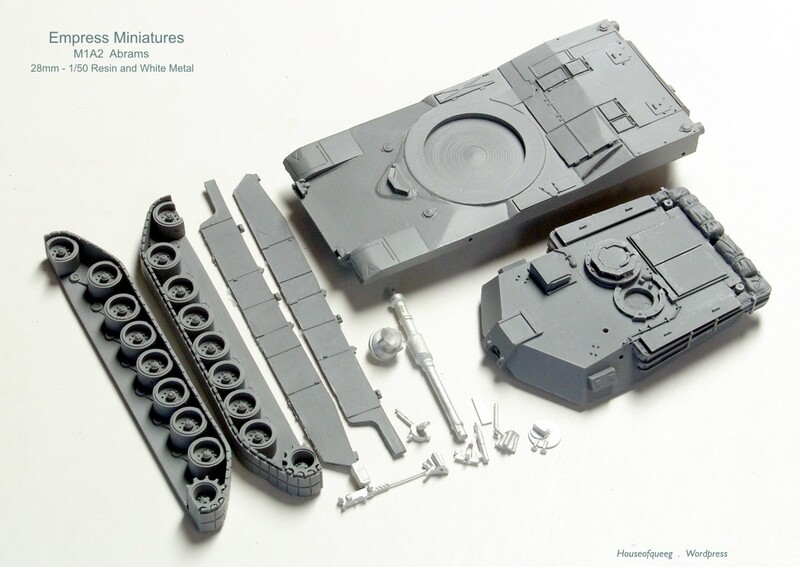 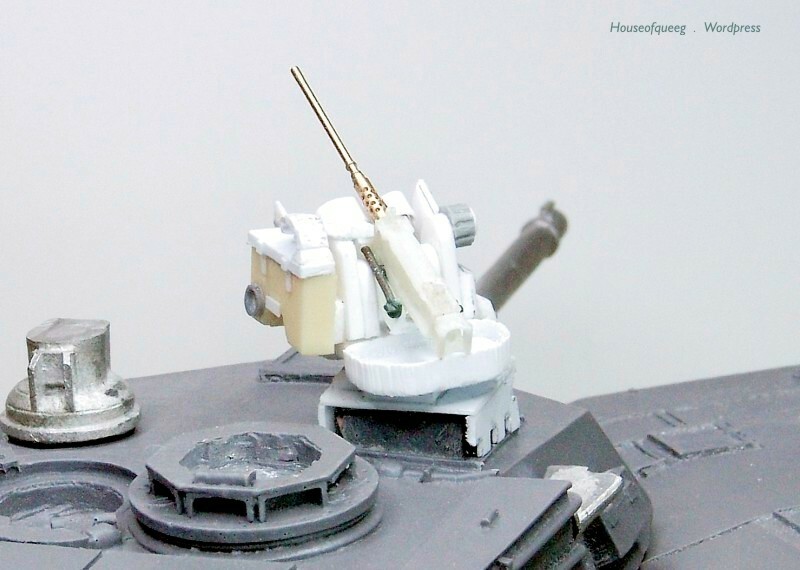 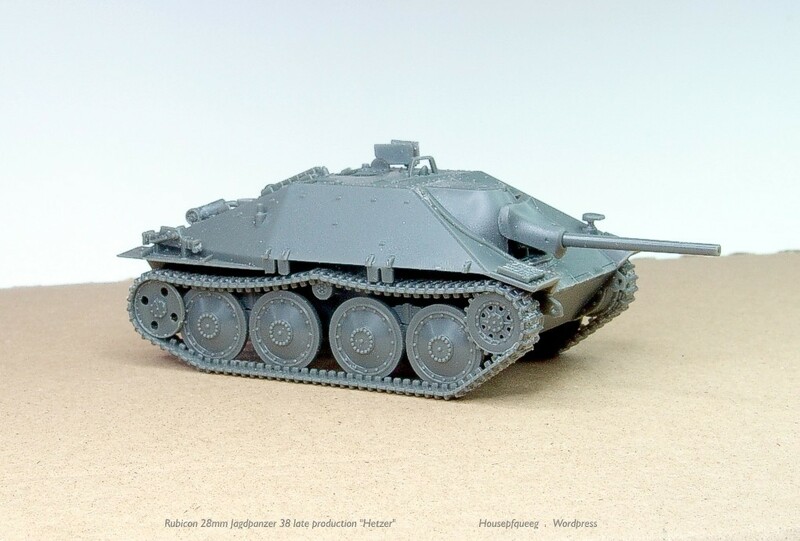 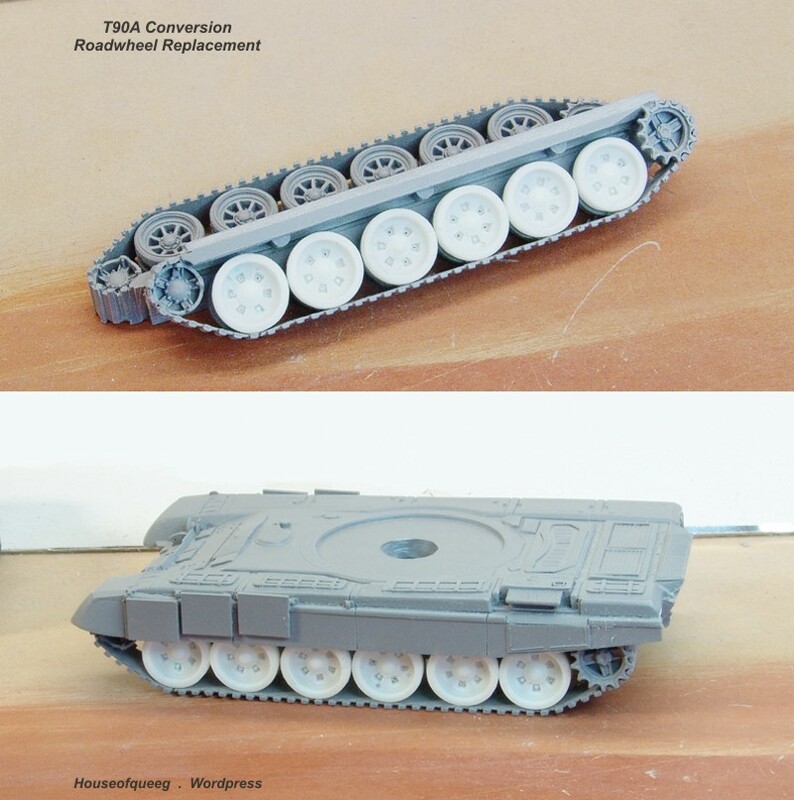 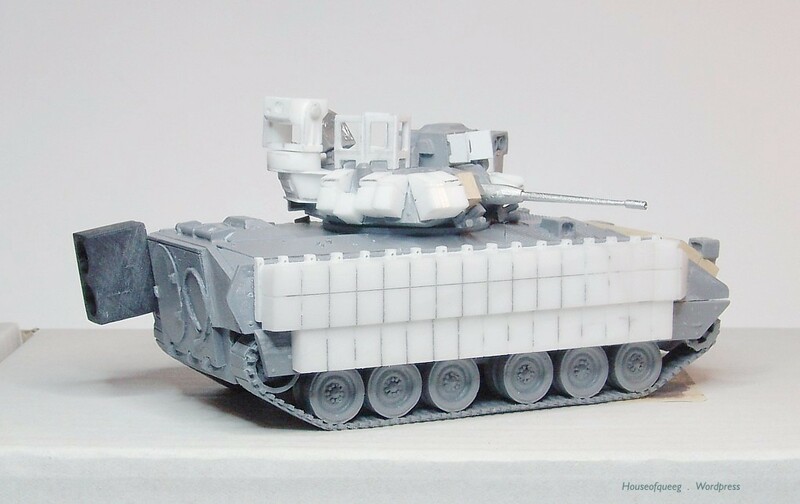 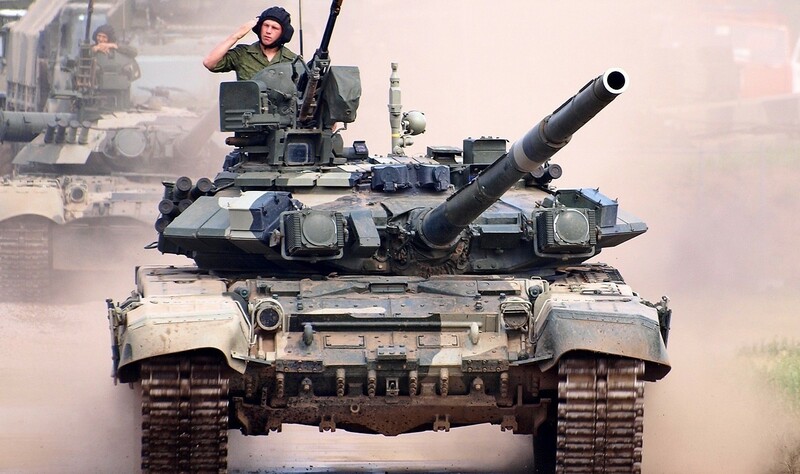 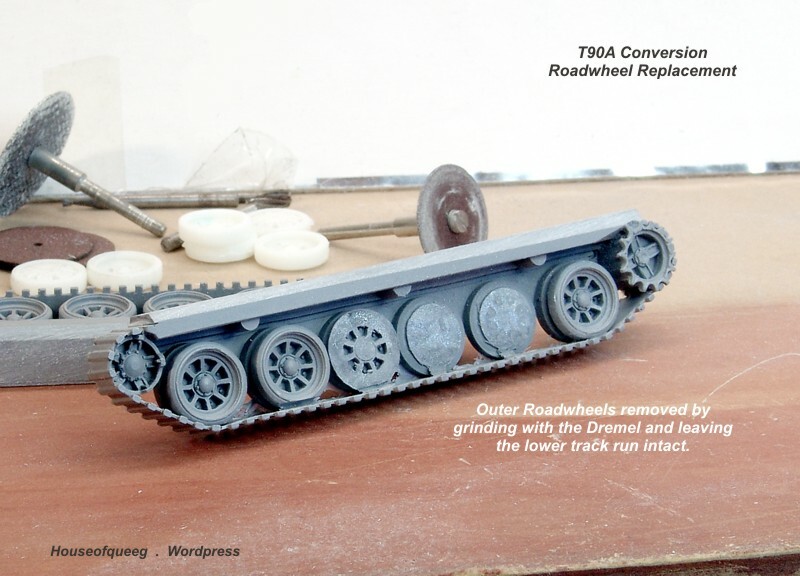 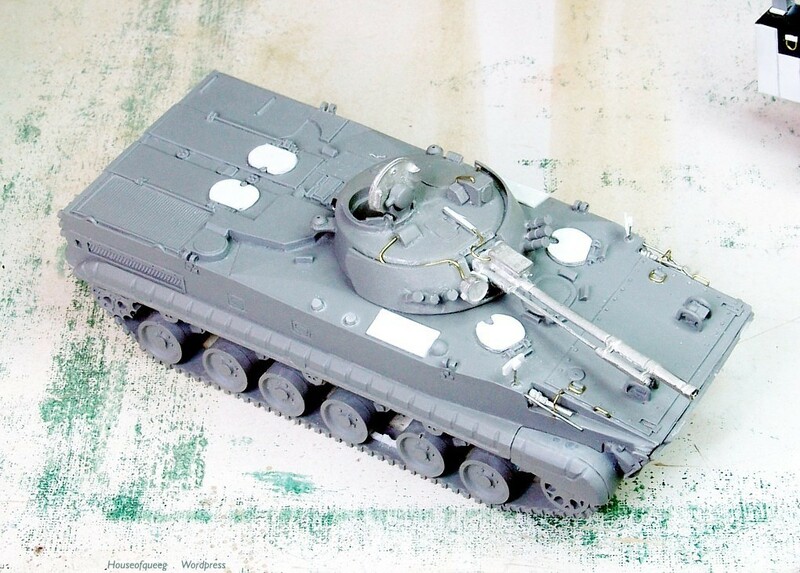 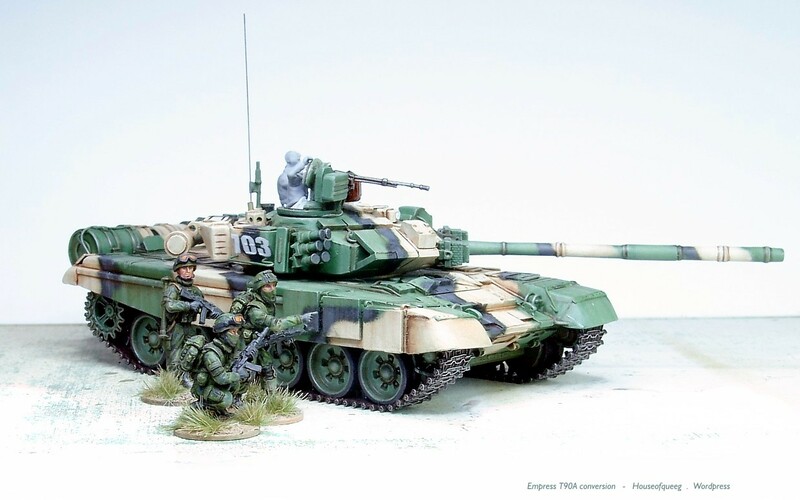 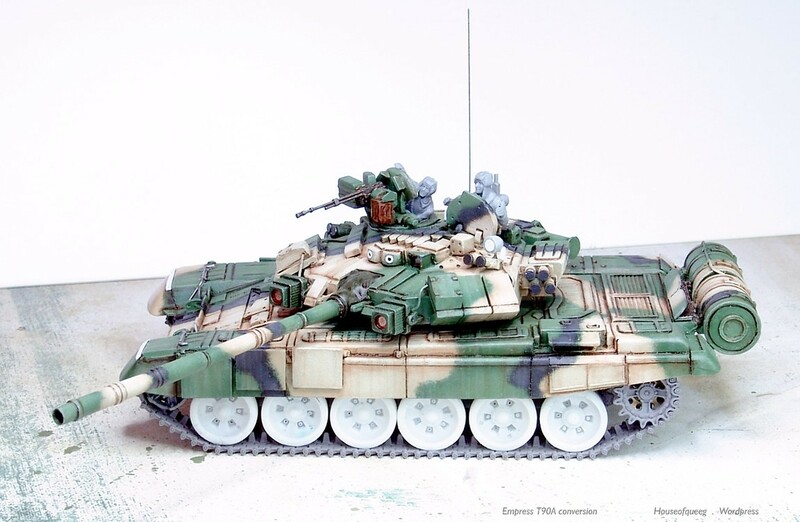 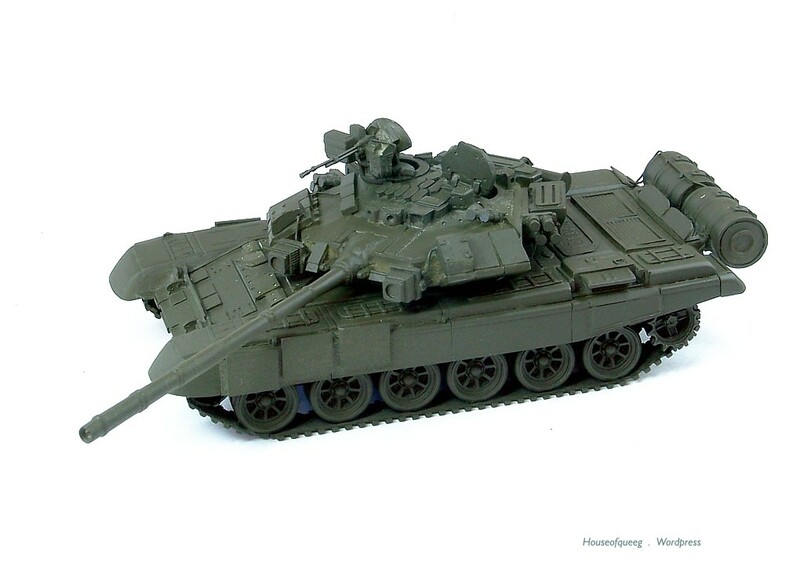 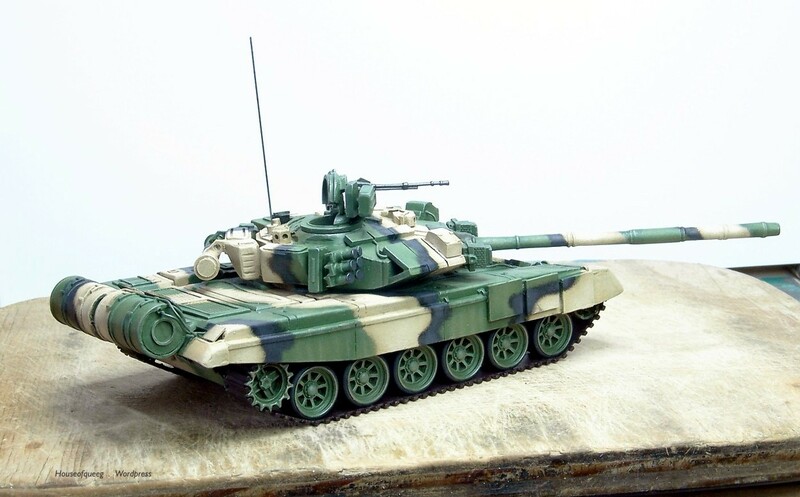 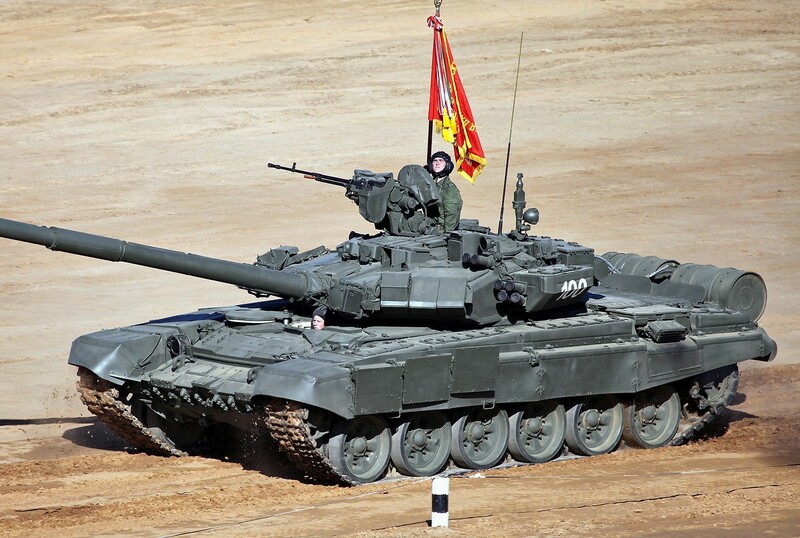 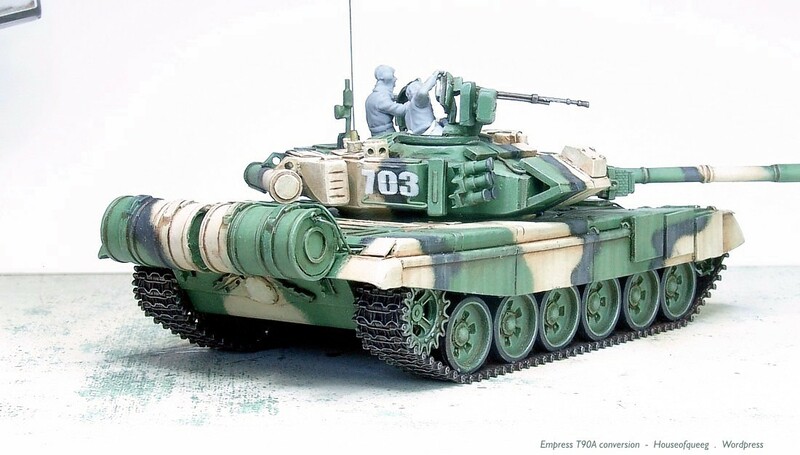 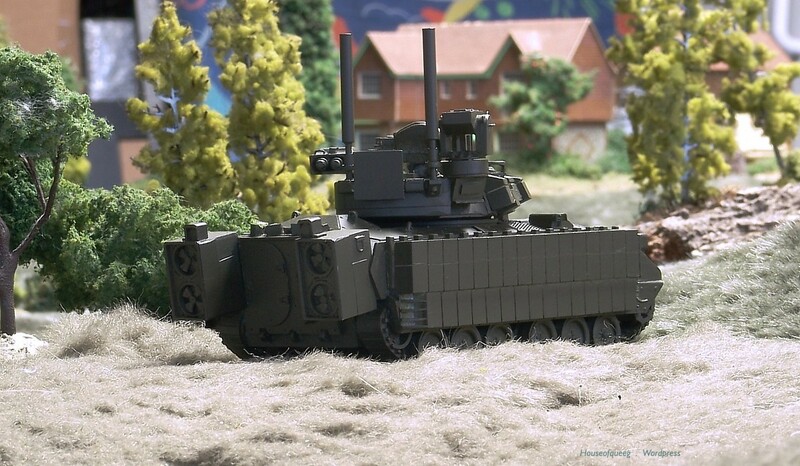 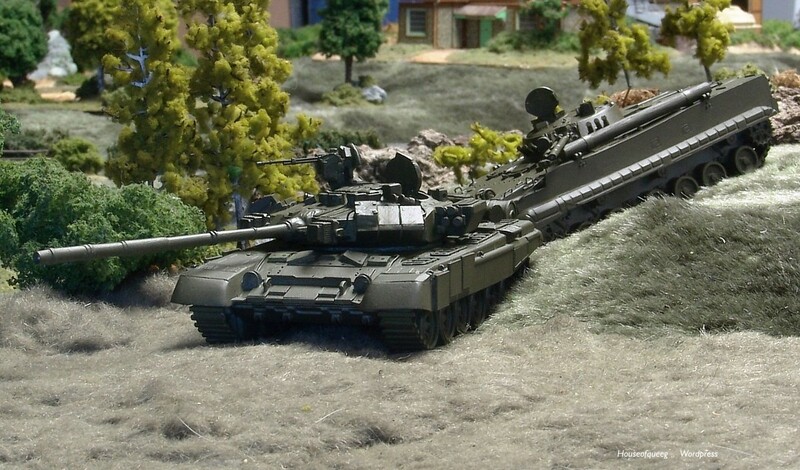 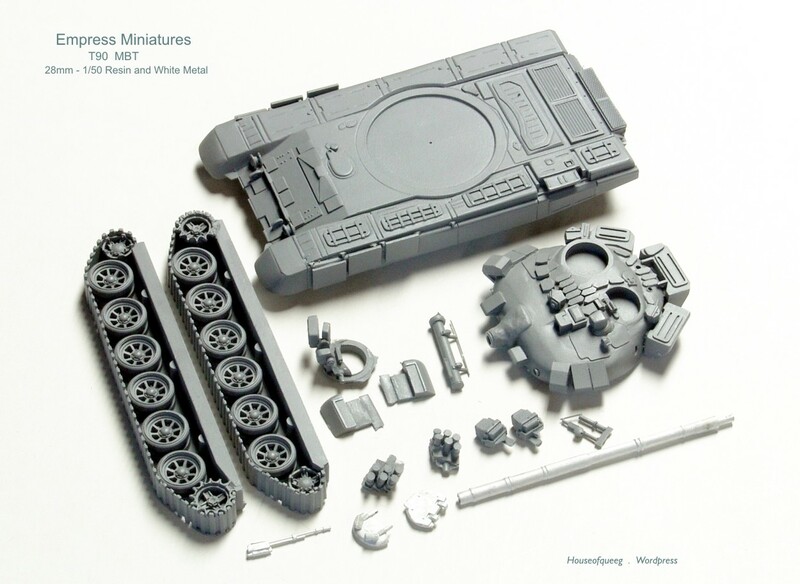 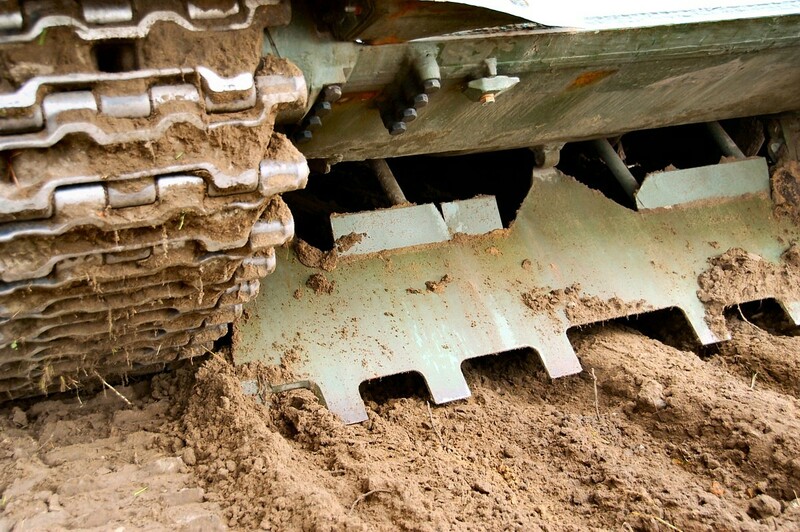 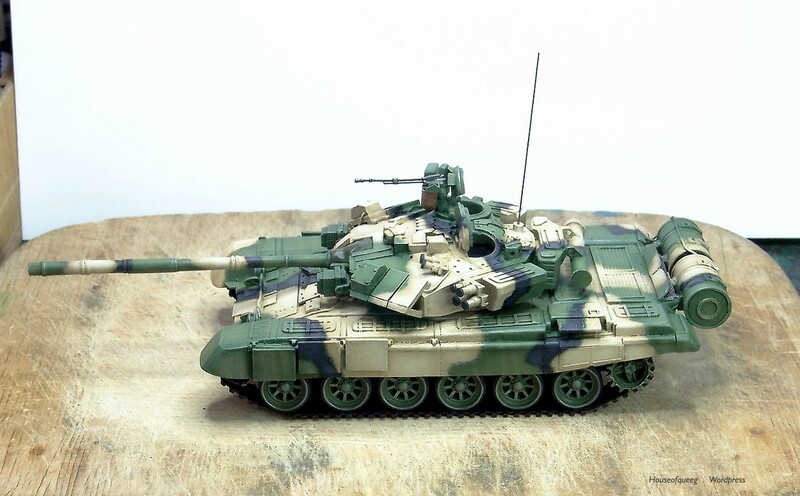 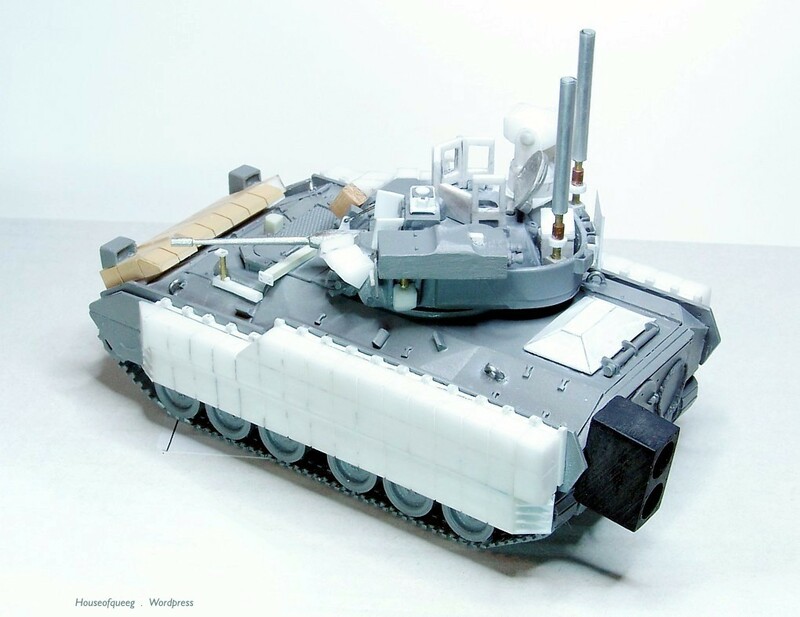 Amongst other upgrades which are modular and it is possible to see some tanks with mixed equipment fits, the ERA system is fitted to mounting rails attached to the tanks side rails. 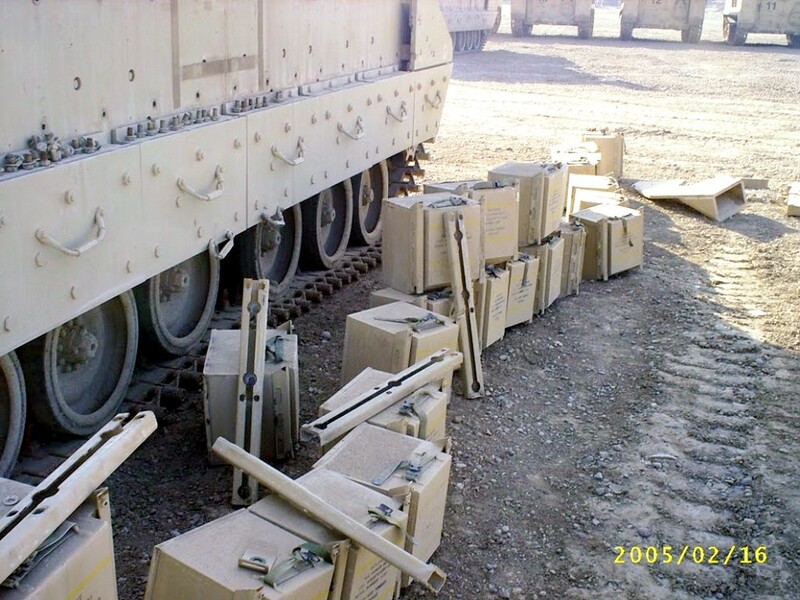 This can be done with a field install kit and by troops on deployment. 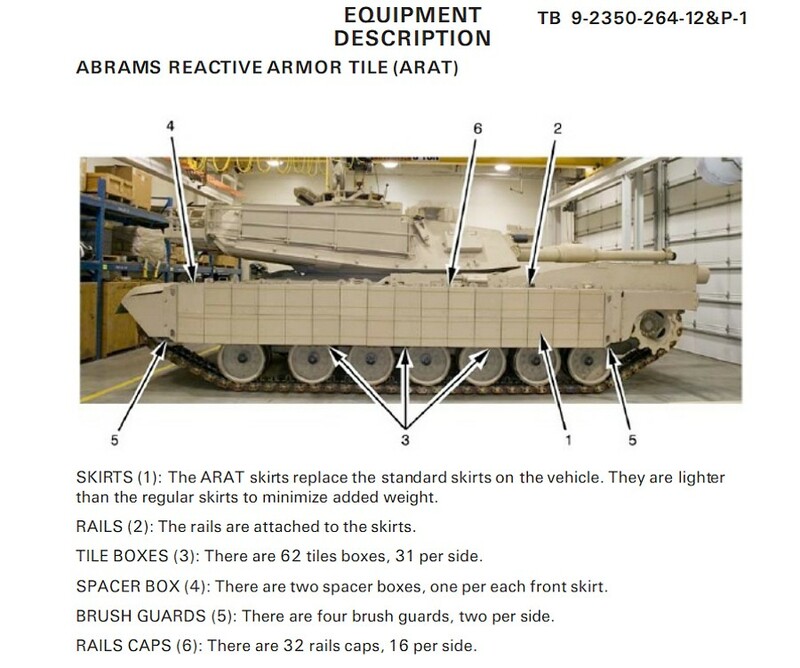 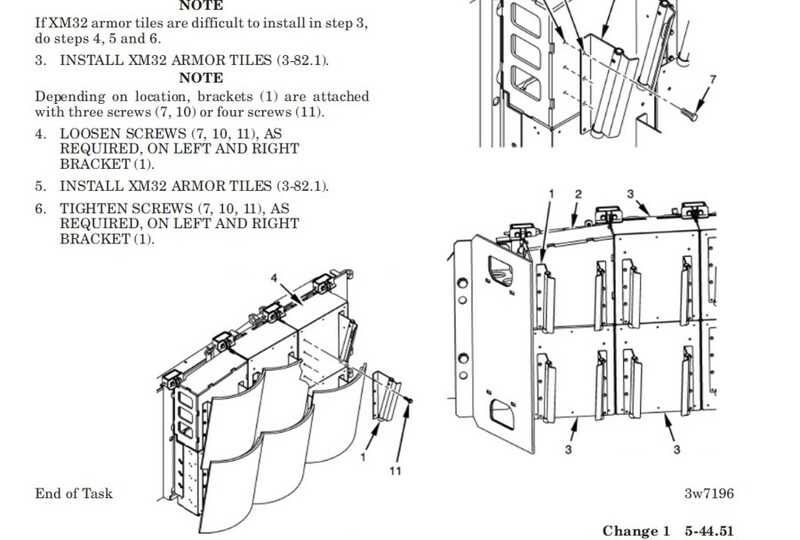 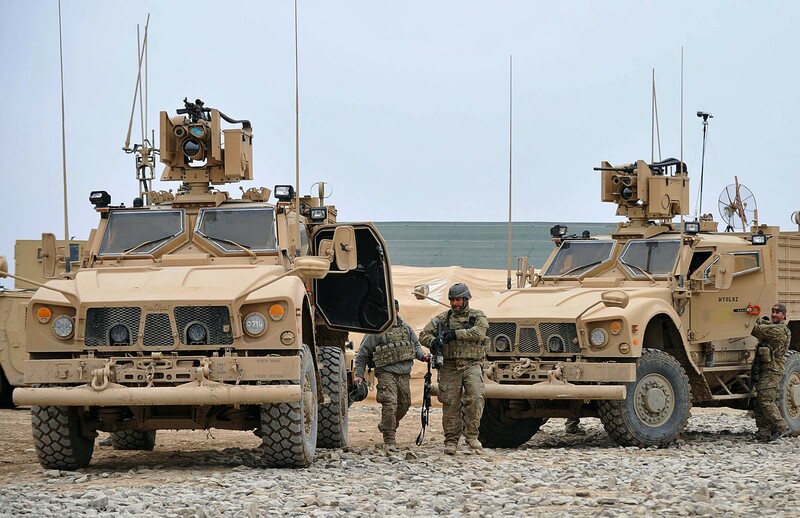 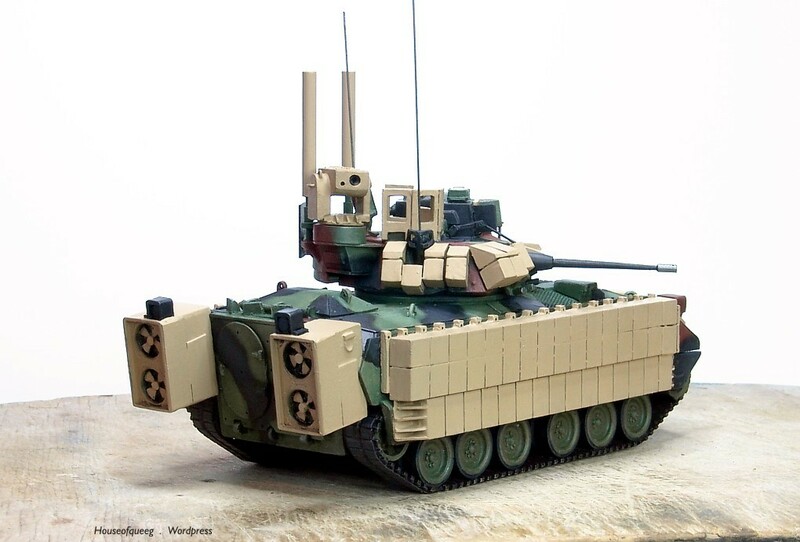 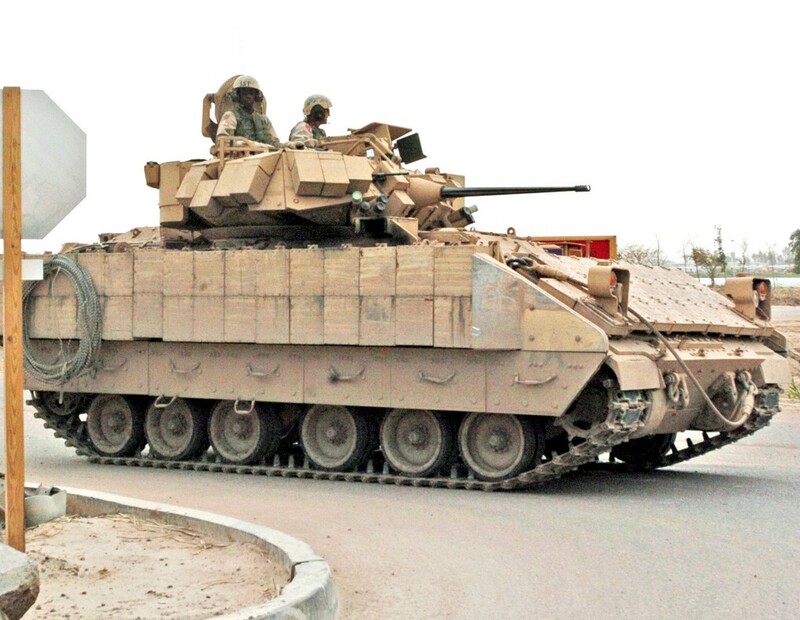 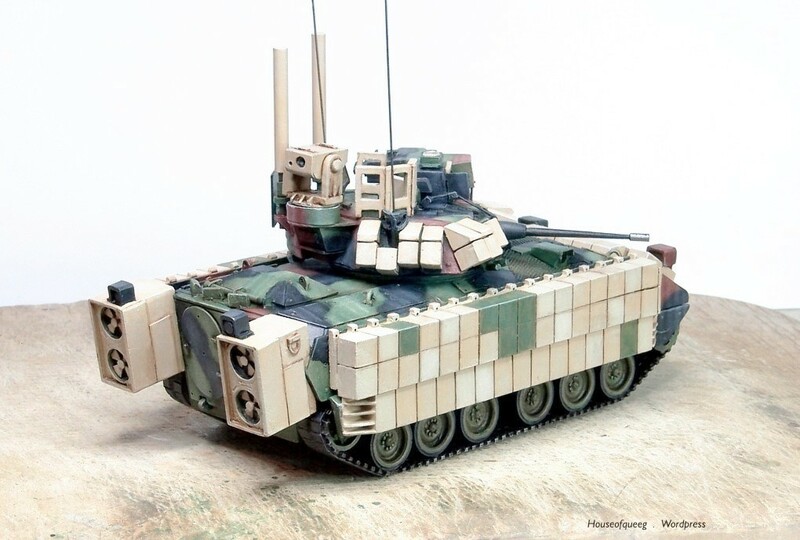 The block part of the system is called ARAT-1 (Abrams Reactive Armour Tile) and the blocks are designated XM-19. 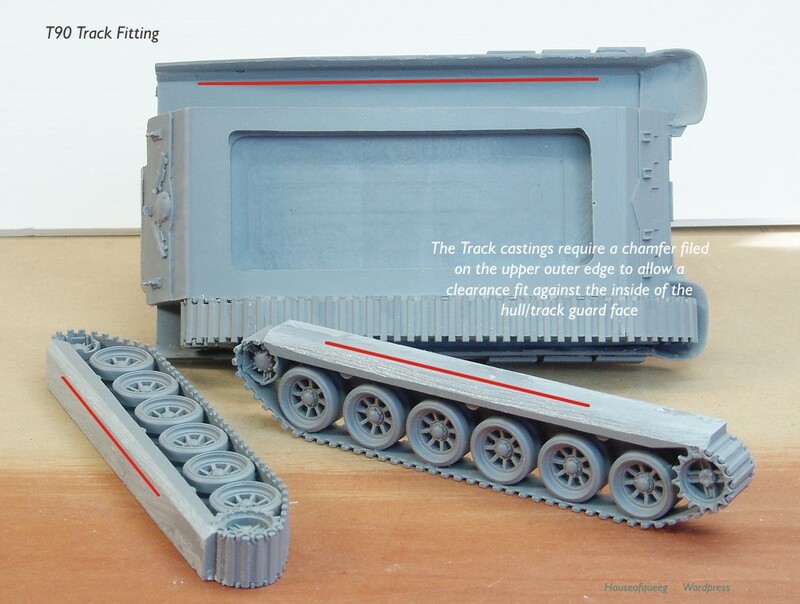 The mounting package also includes brush guards fitted to the front and rear side rails. 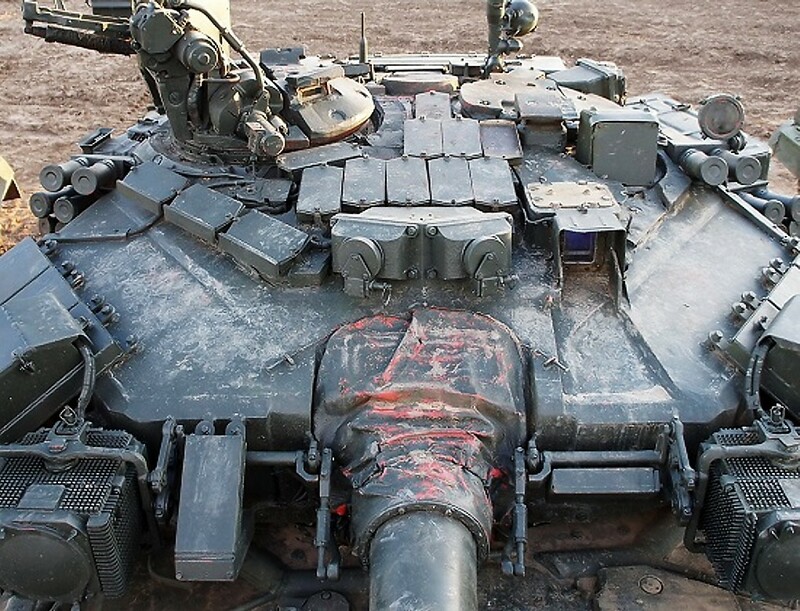 Note the front side rail on each side of the vehicle is replaced by a specialised and thinner plate although I won’t be modelling this. 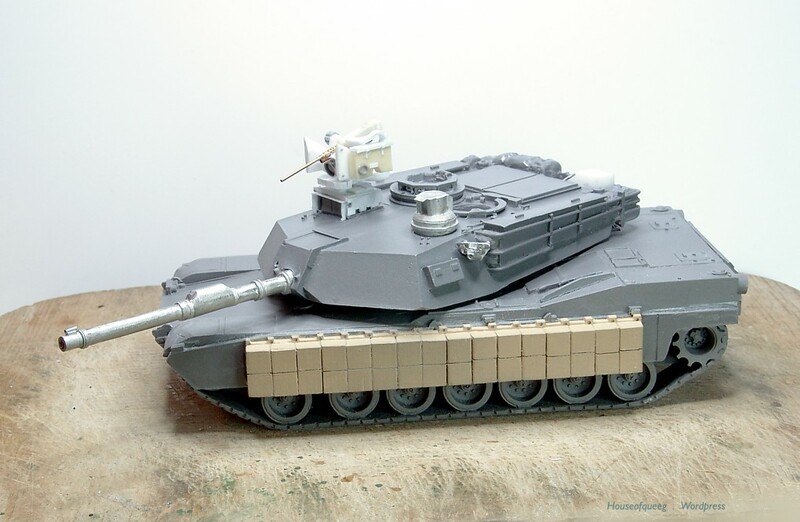 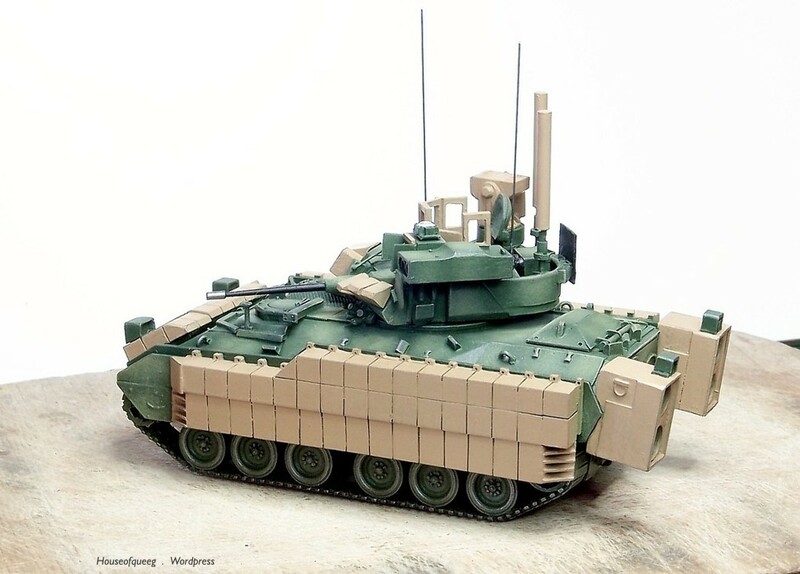 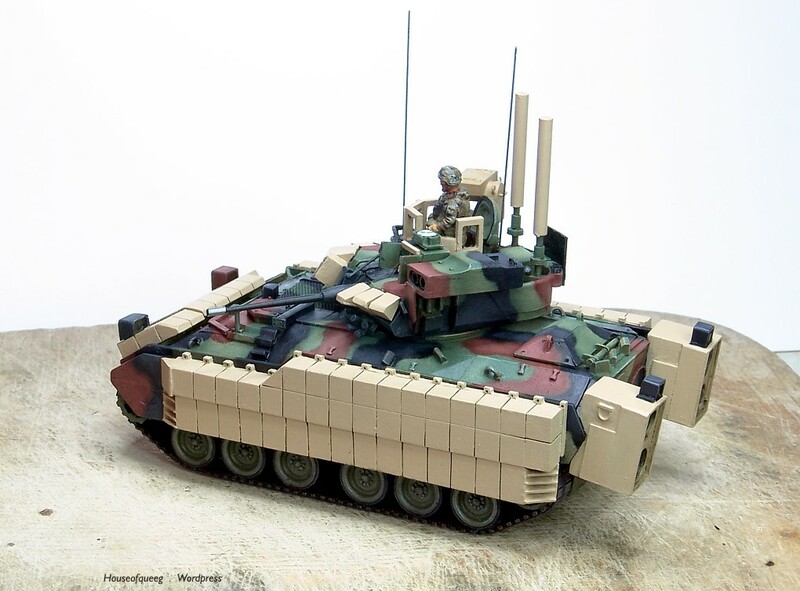 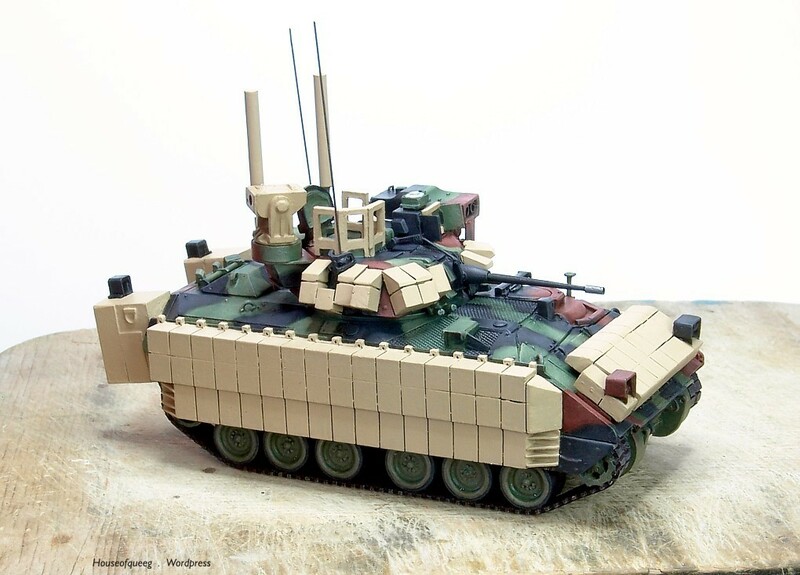 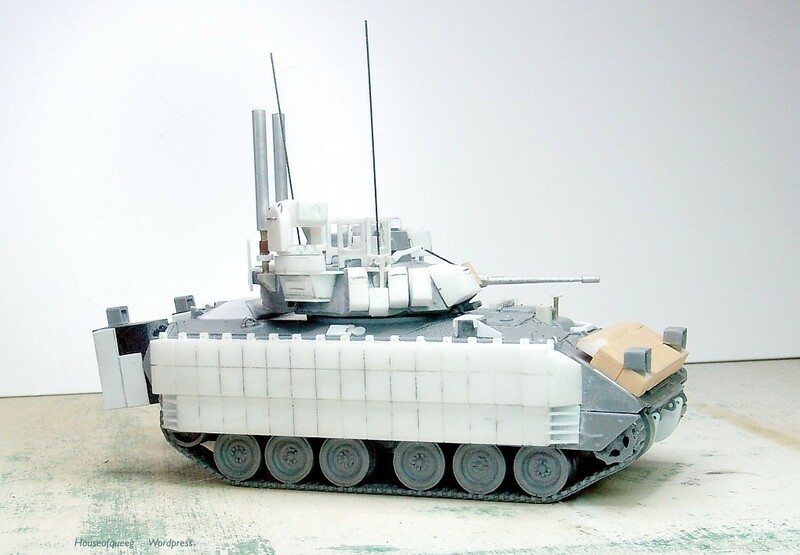 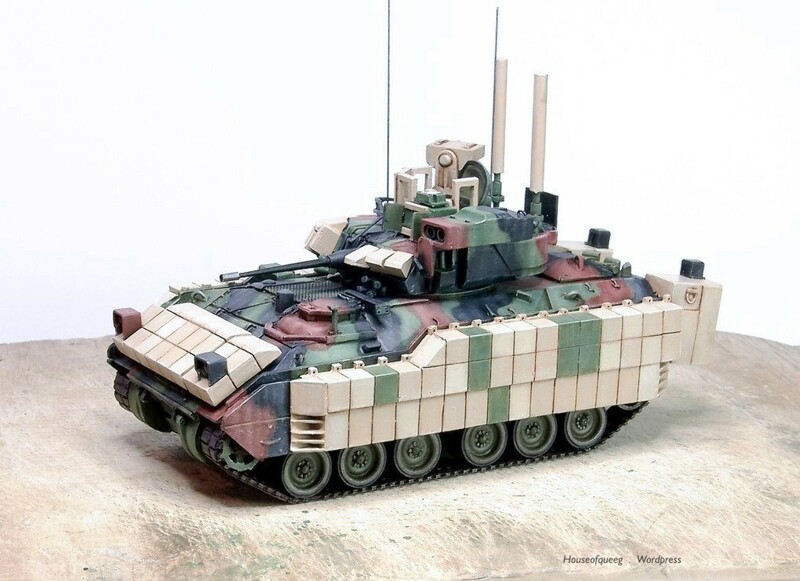 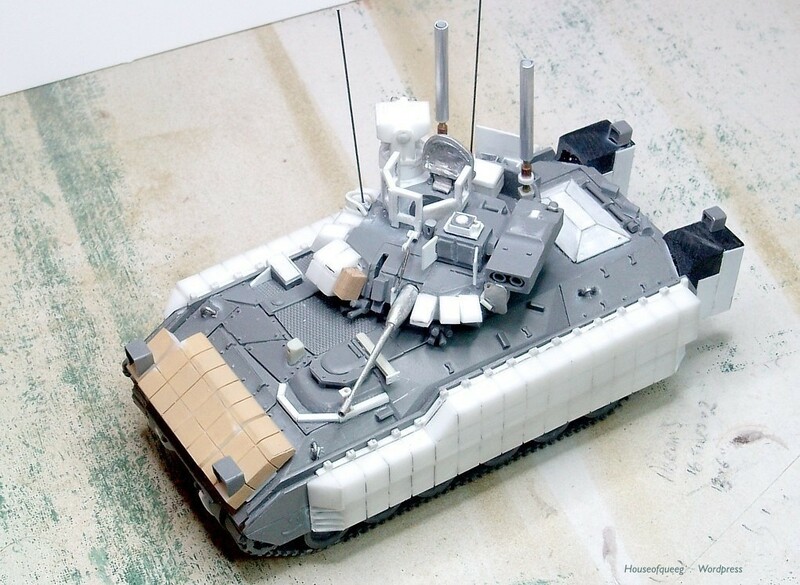 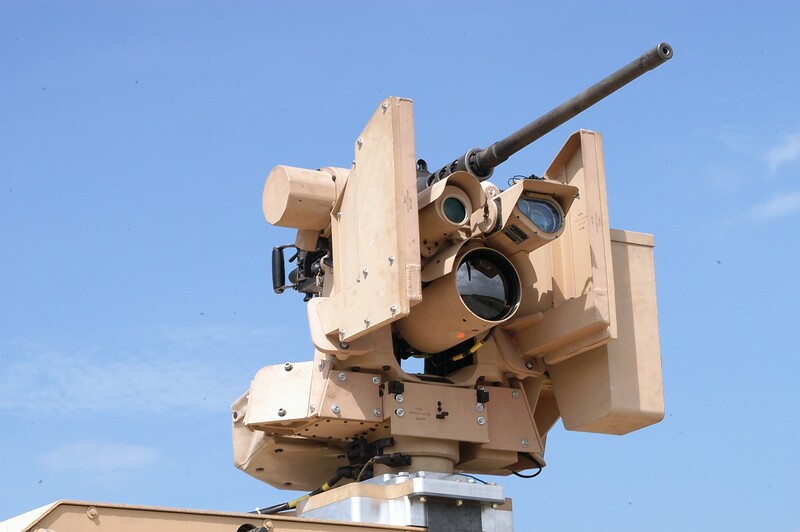 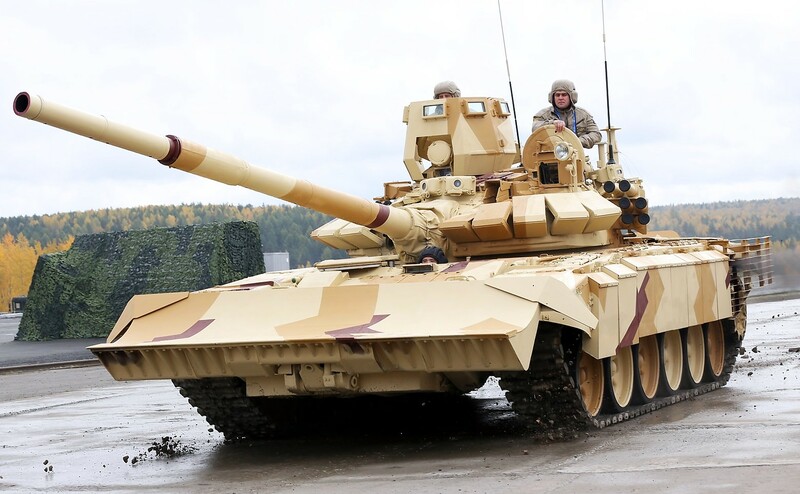 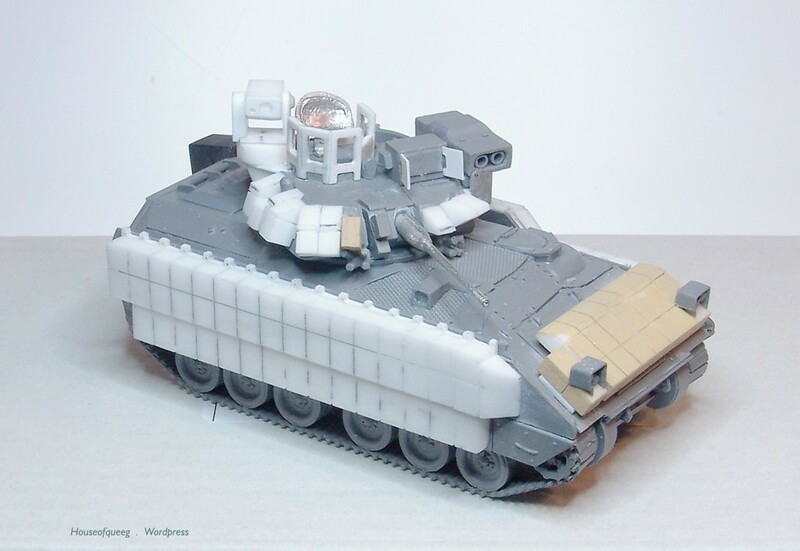 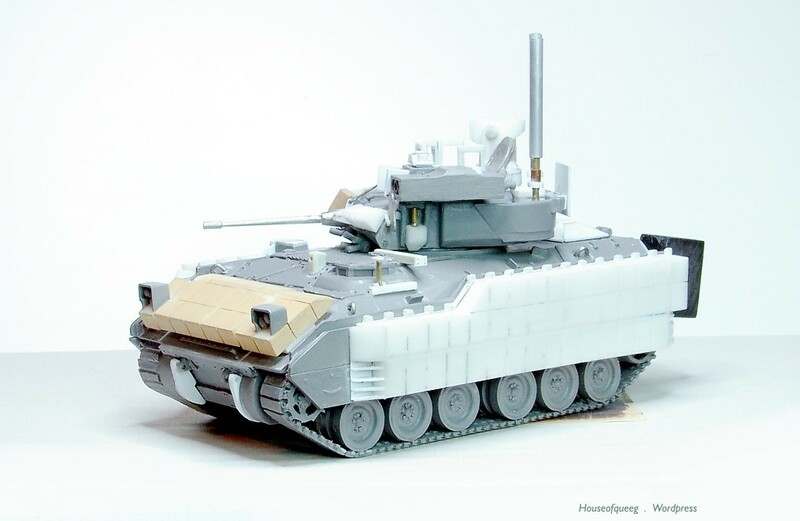 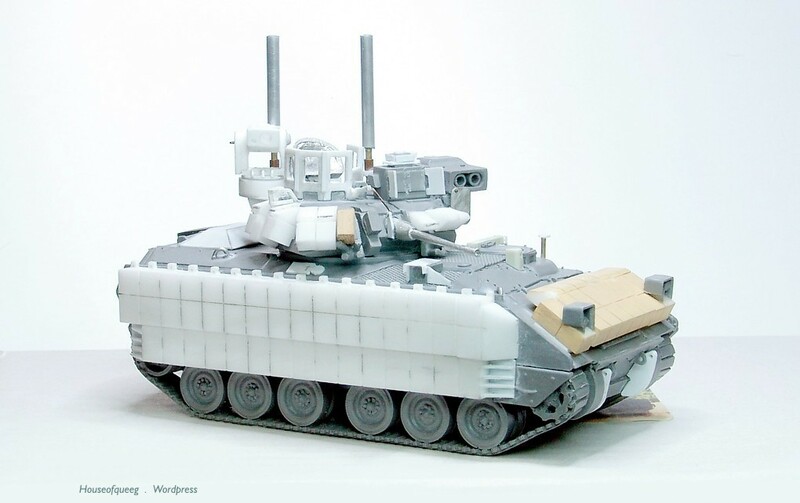 To create a TUSKII level package, ARAT-2 curved tiles, XM-32, are further mounted to the side XM-19 blocks and to the sides of the turret. 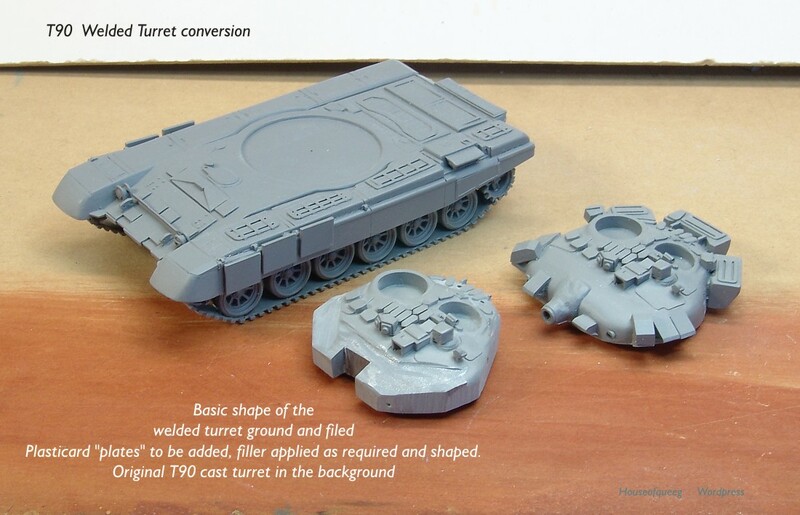 REF Pics included from web sources and for discussion only. 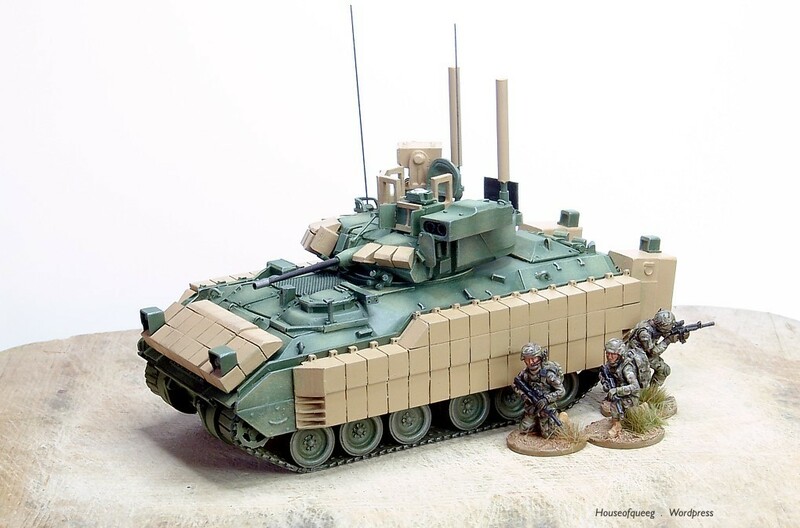 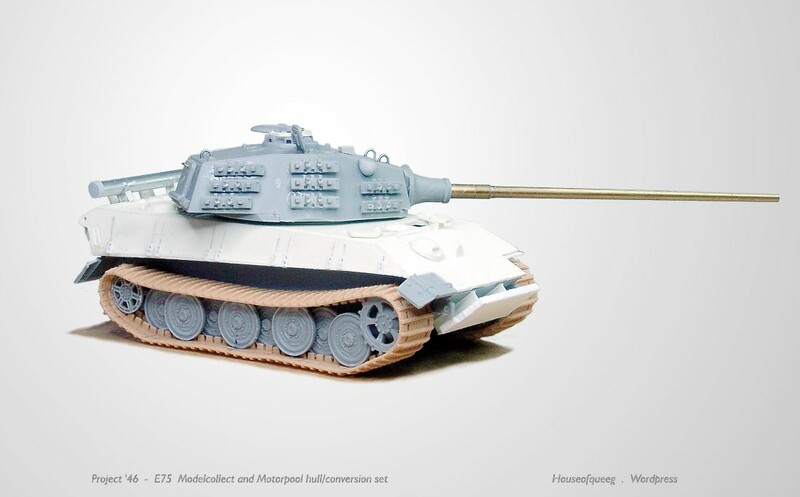 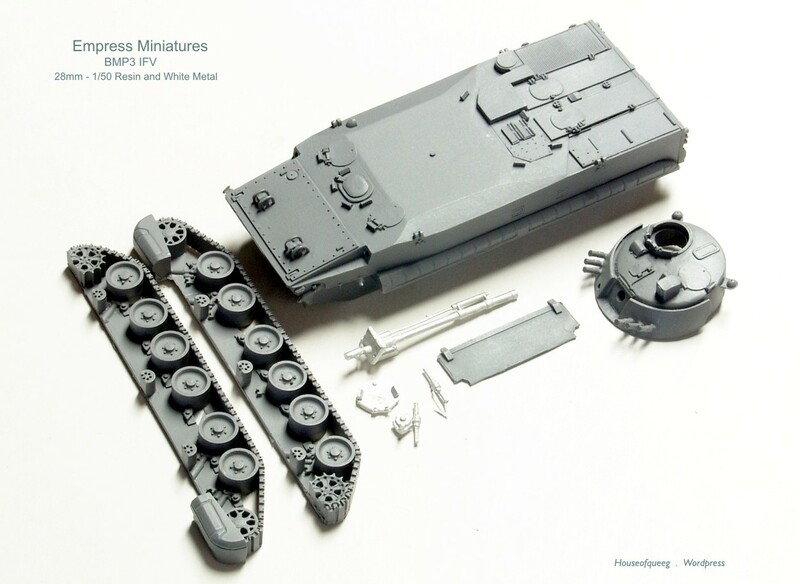 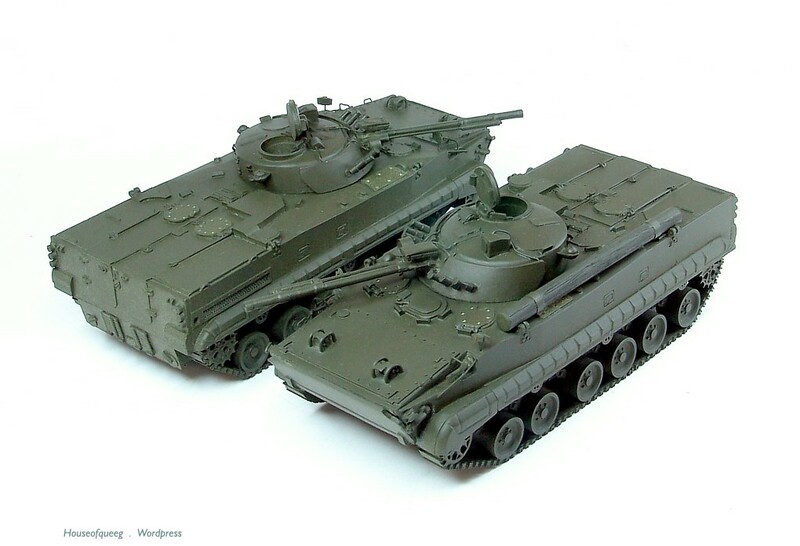 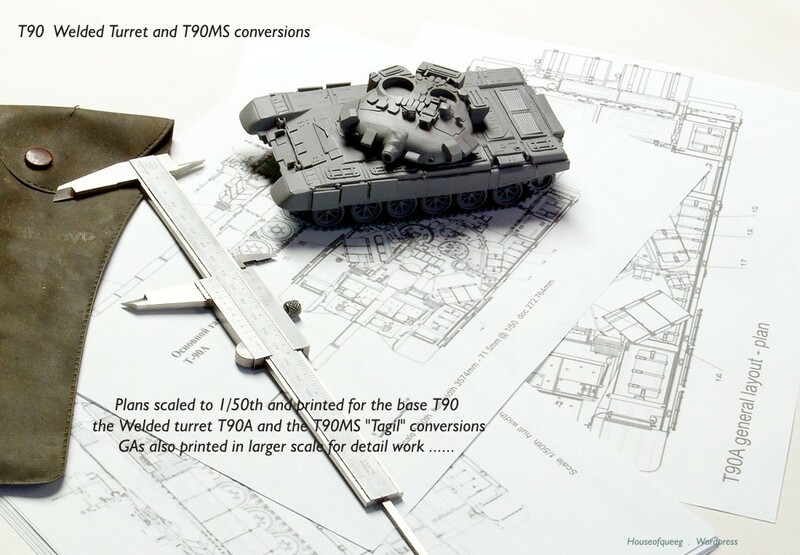 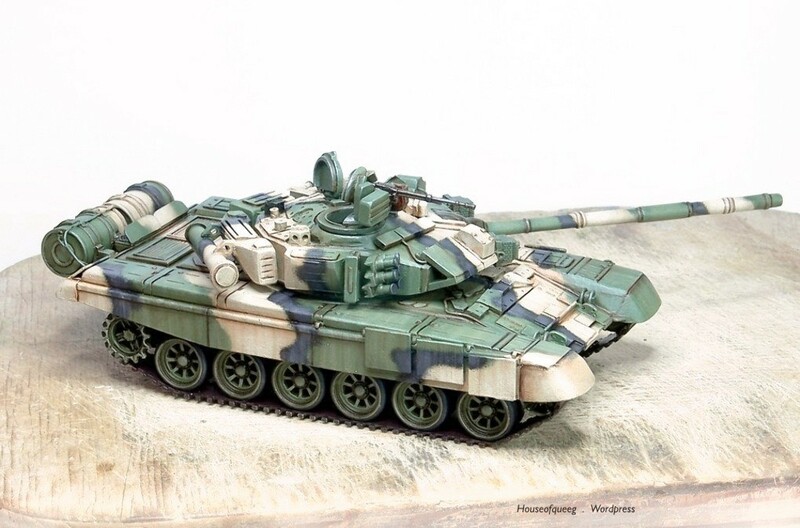 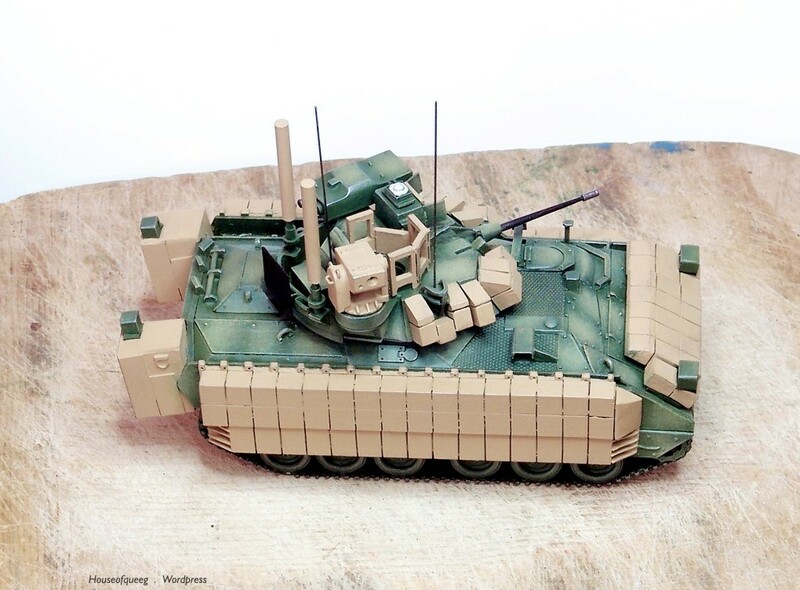 I believe some are from the excellent looking Tankograd publication M1A2 SEPv2 which is highly recommended as a modelling resource. 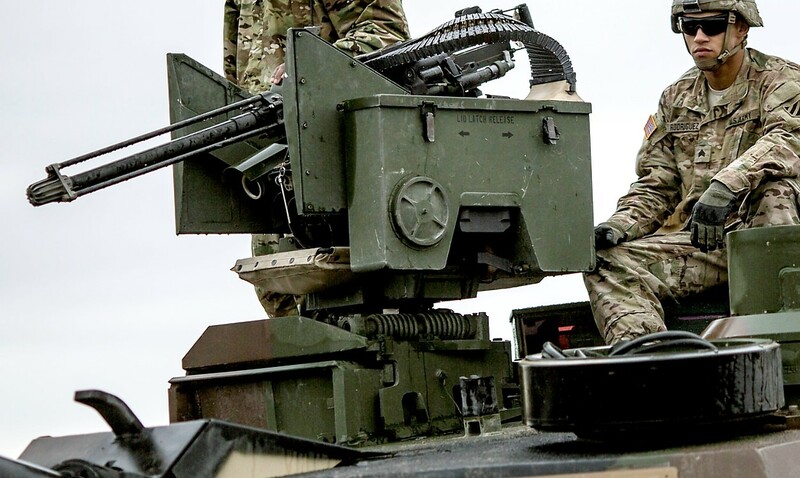 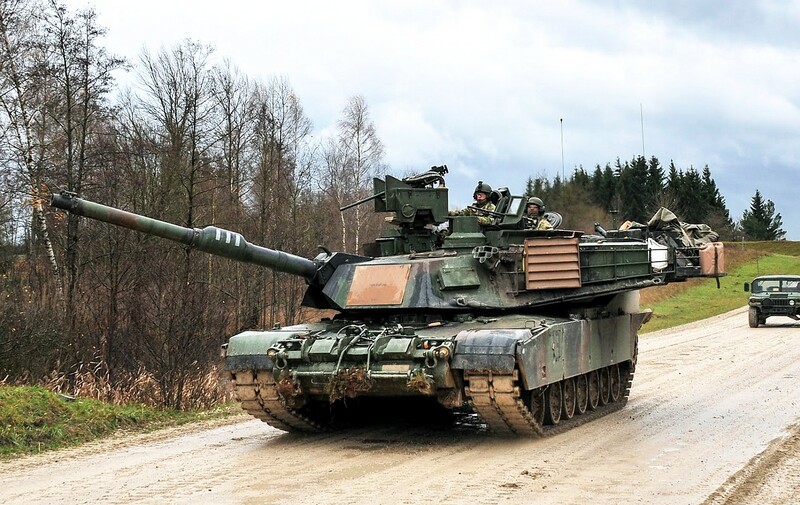 And a couple of general Abrams ref pics from exercises held in Eastern Europe and showing the look I’m hoping to achieve as well as the CROWs remote weapons systems fitted to the turret roof.